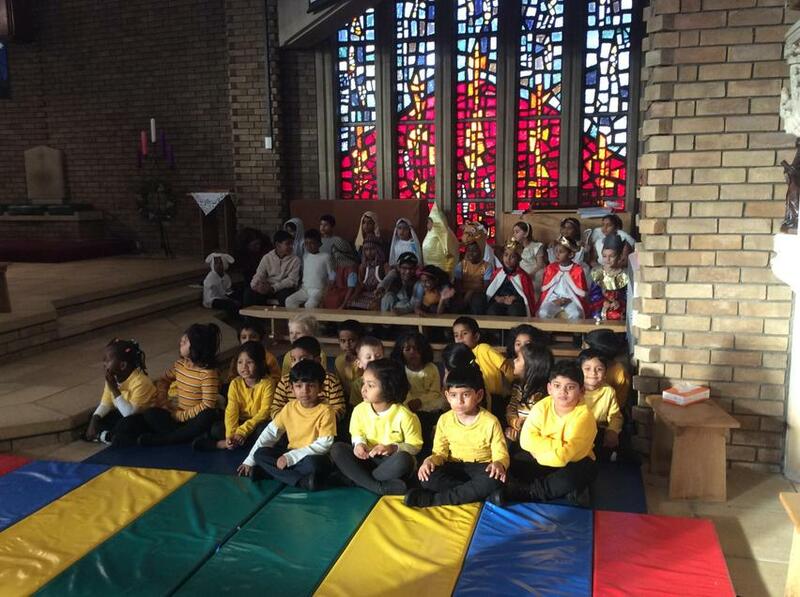 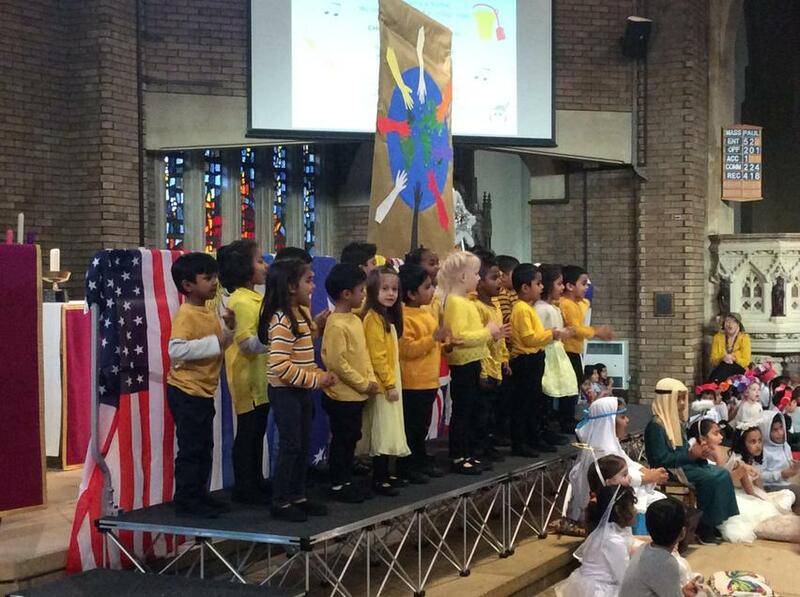 Christmas - We all took part in the Christmas performance 'Children around the World'. 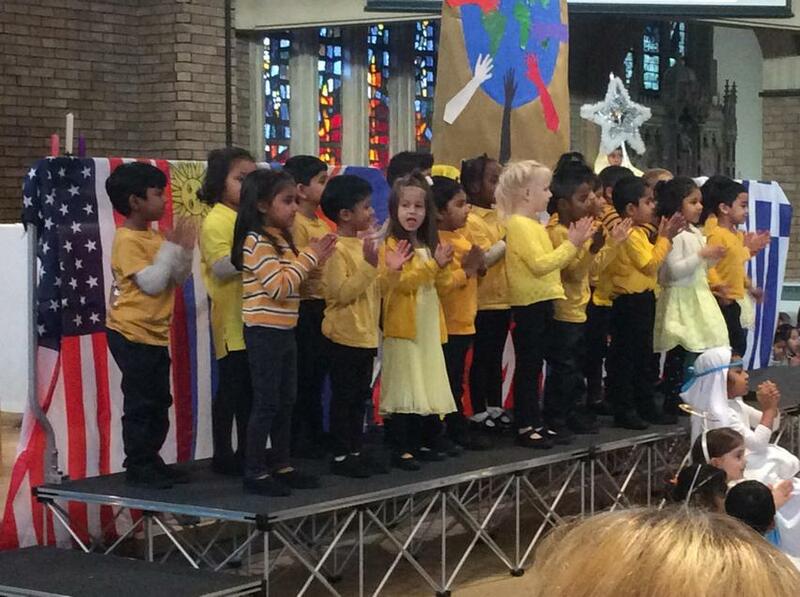 We were very proud of all of the children for their beautiful singing and dancing. 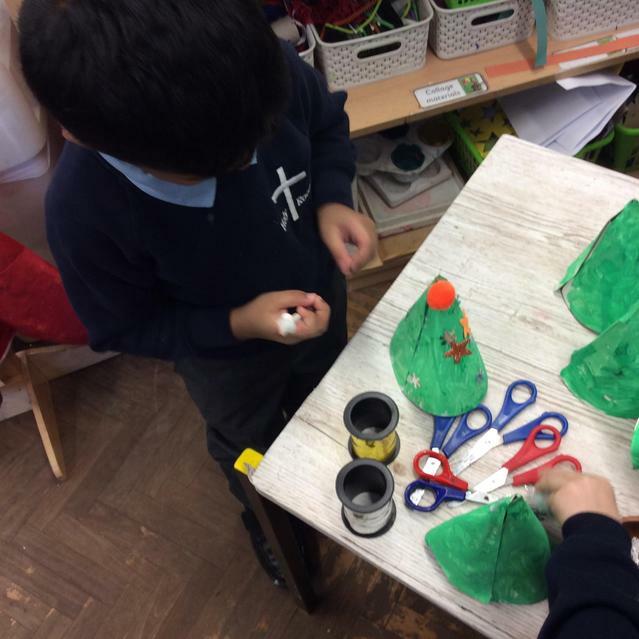 We invited parents to join us for a 'stay and play' session, where we made Christmas hats, melted snowman biscuits and Christmas tree decorations. 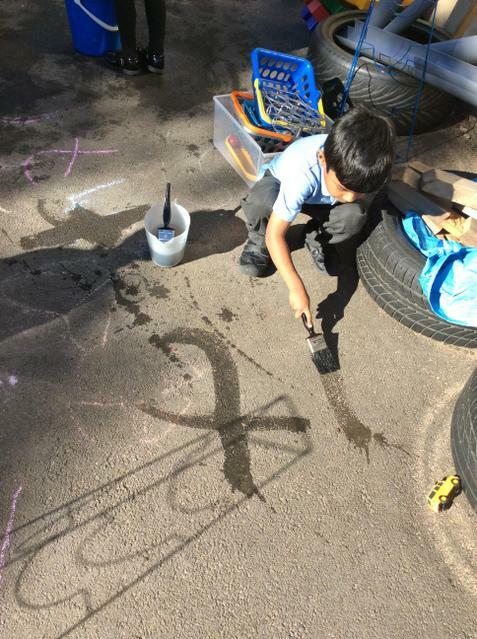 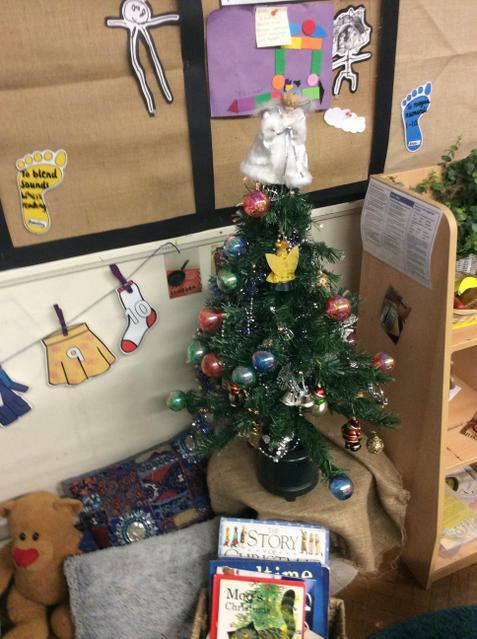 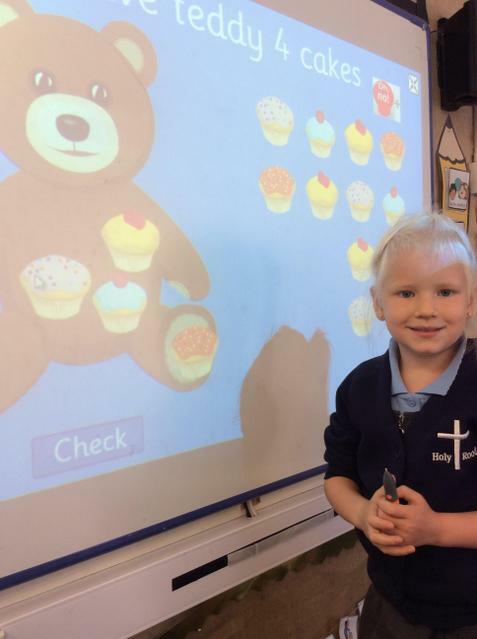 Celebrations - Our topic in term 2 was 'Celebrations'. 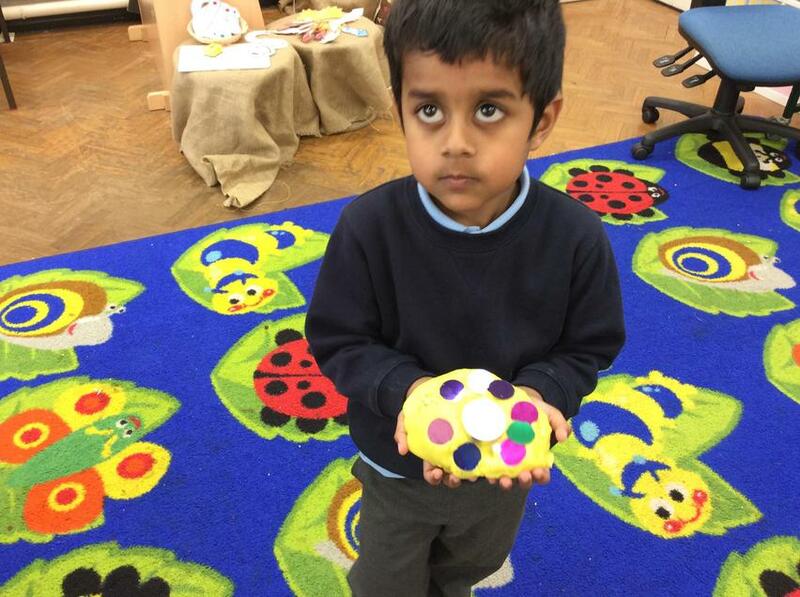 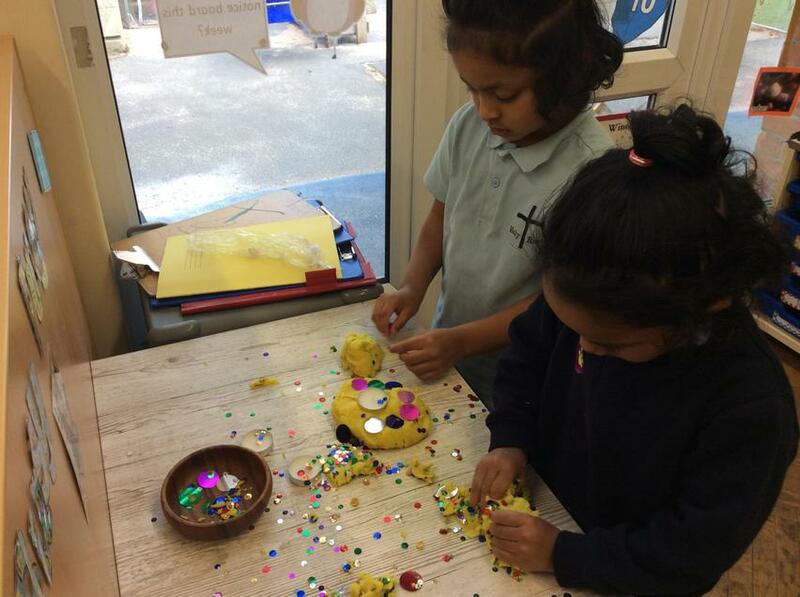 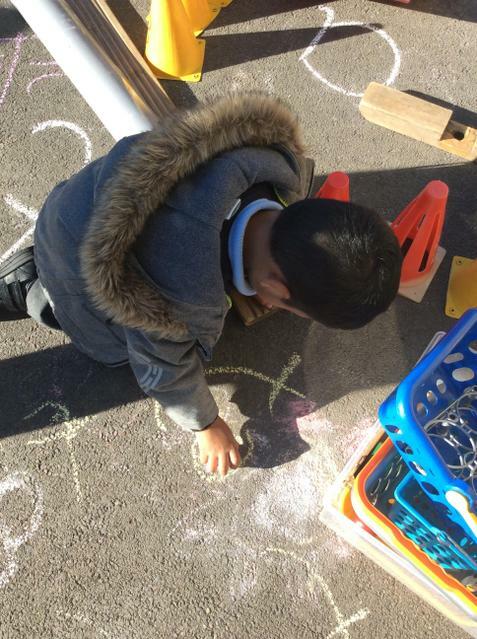 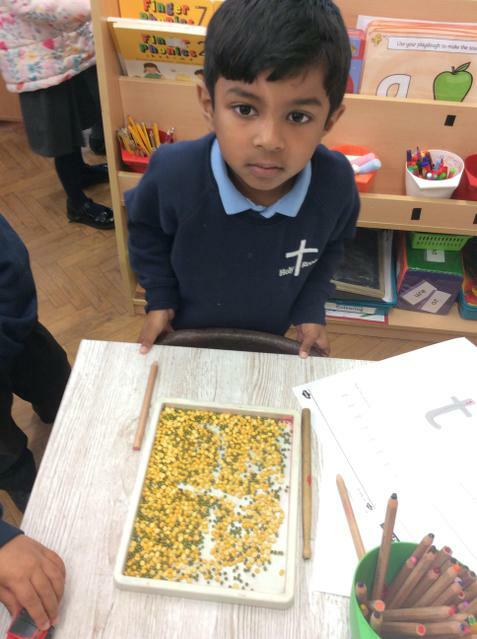 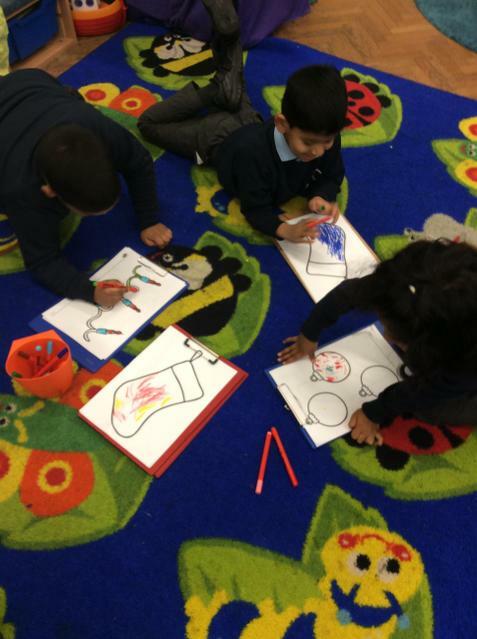 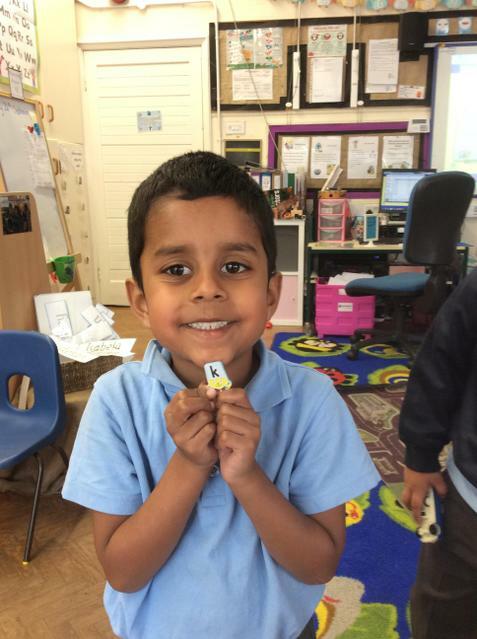 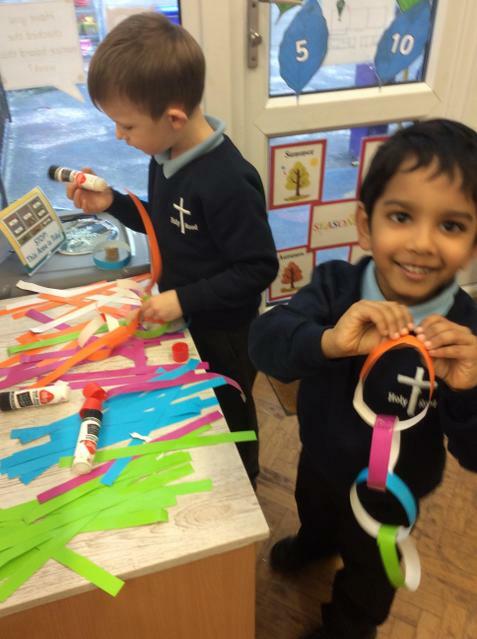 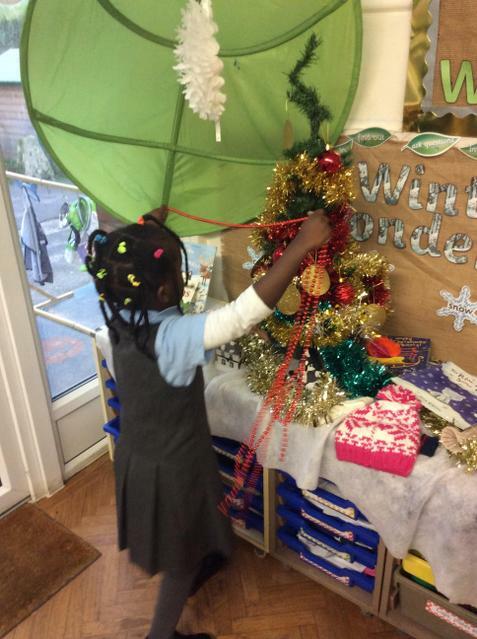 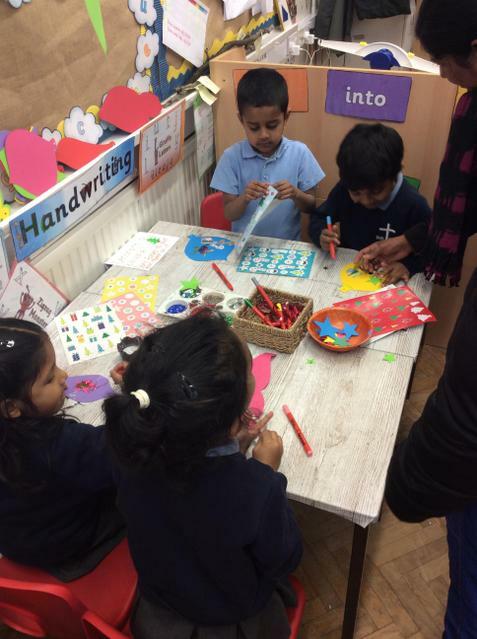 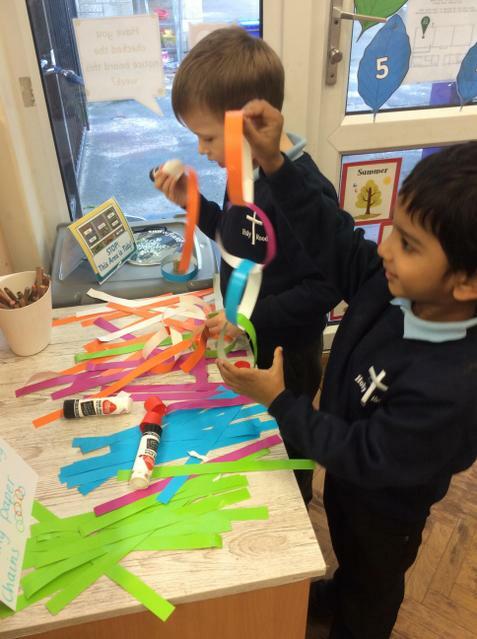 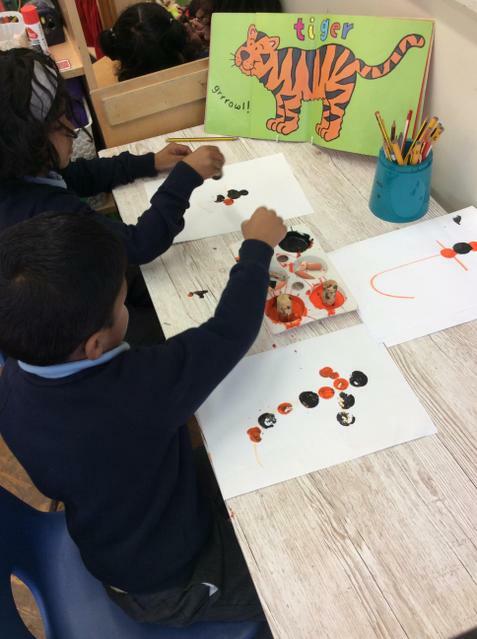 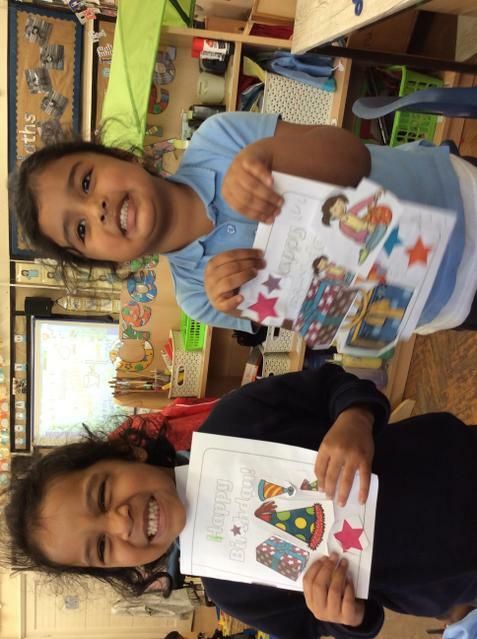 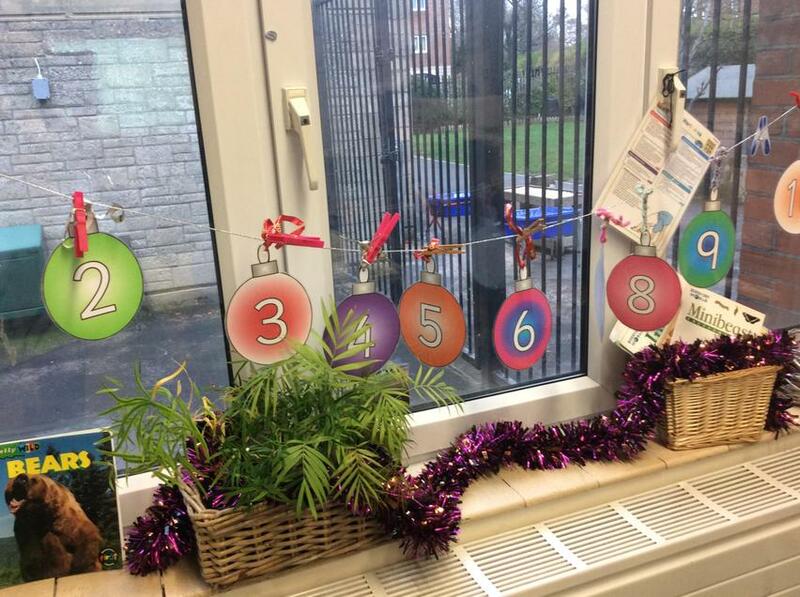 We enjoyed learning about Diwali, Birthdays and Christmas. 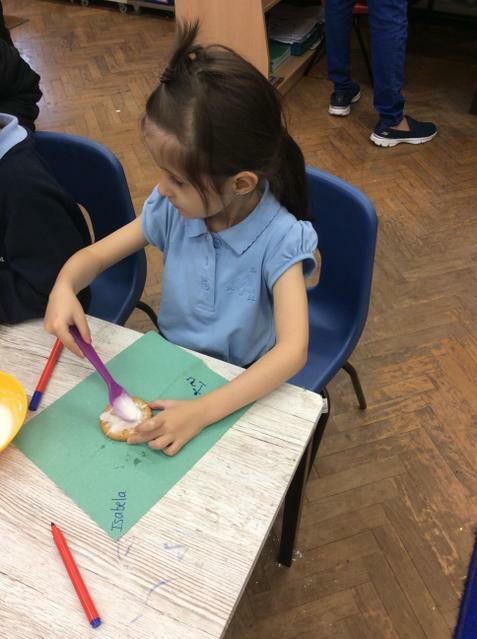 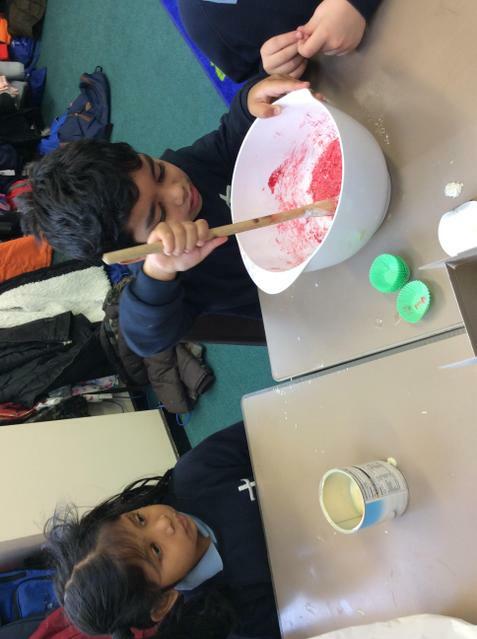 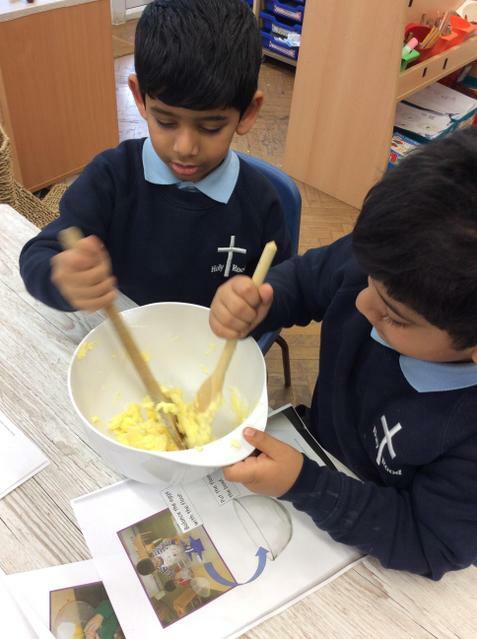 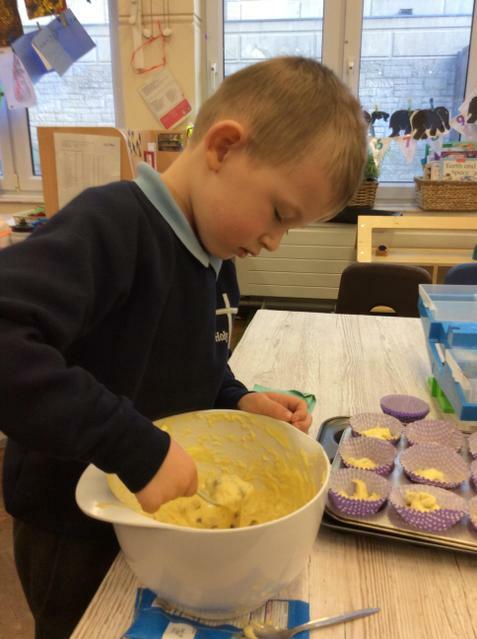 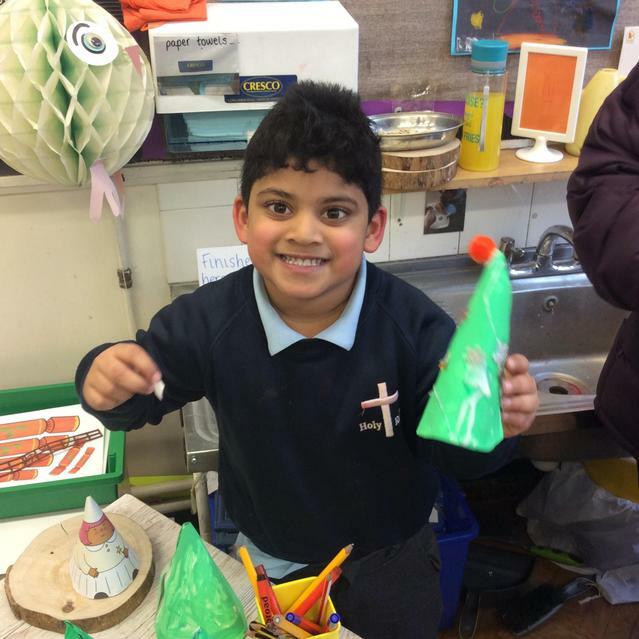 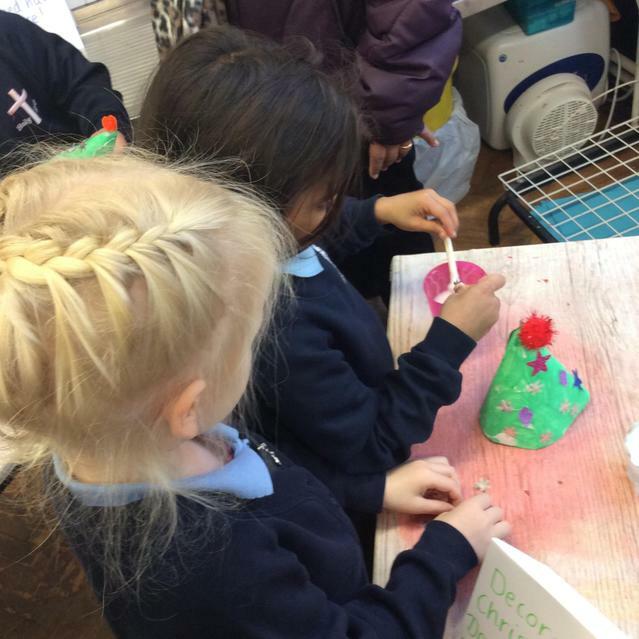 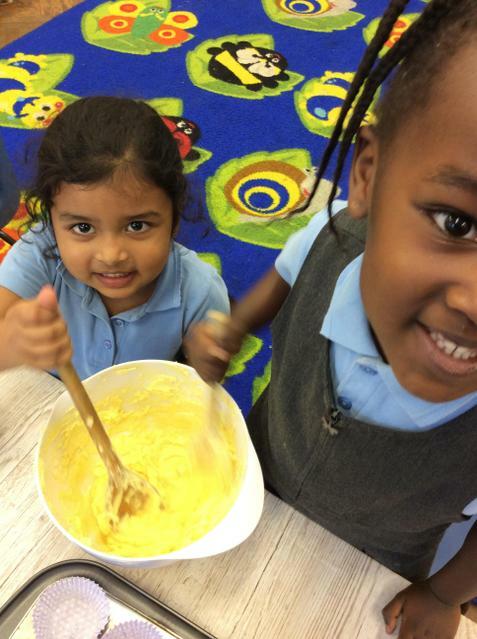 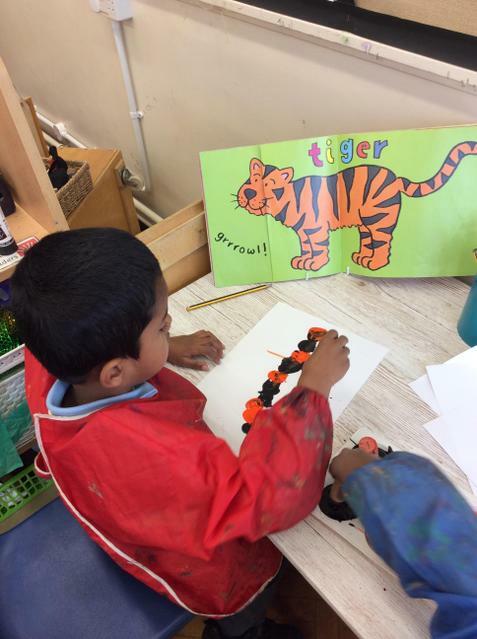 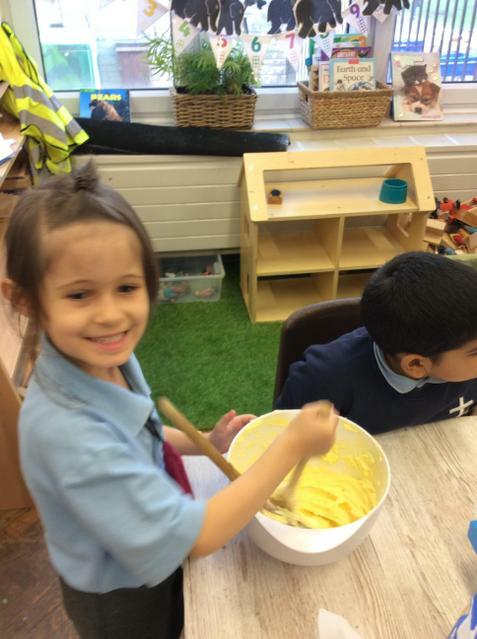 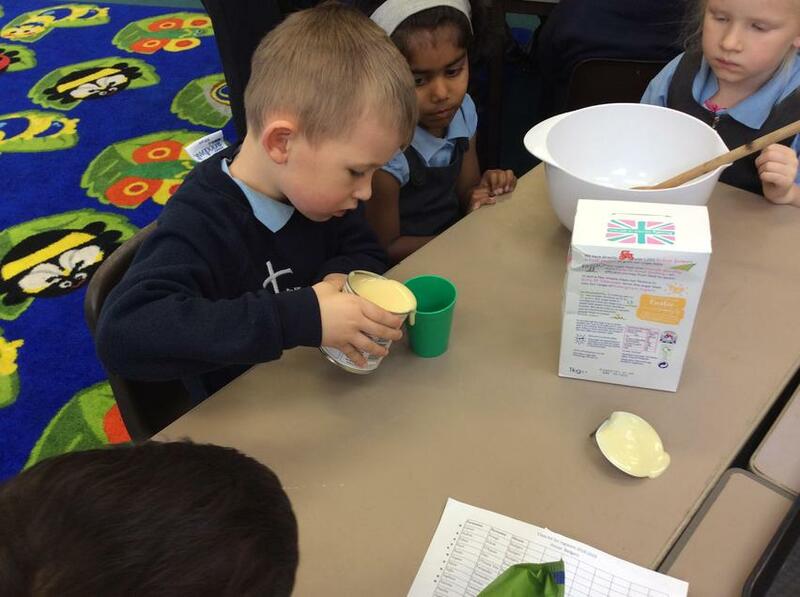 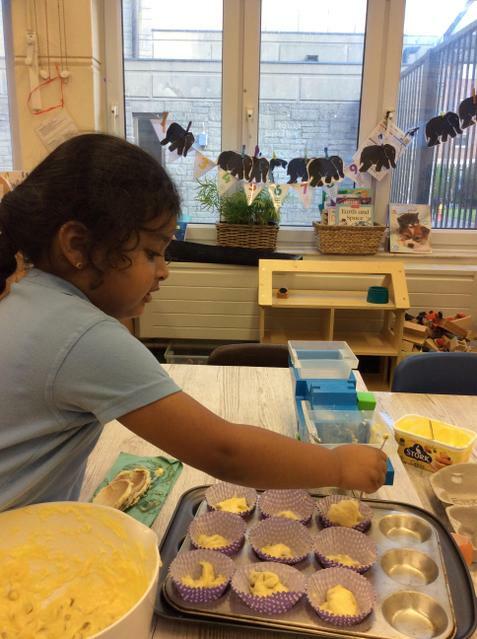 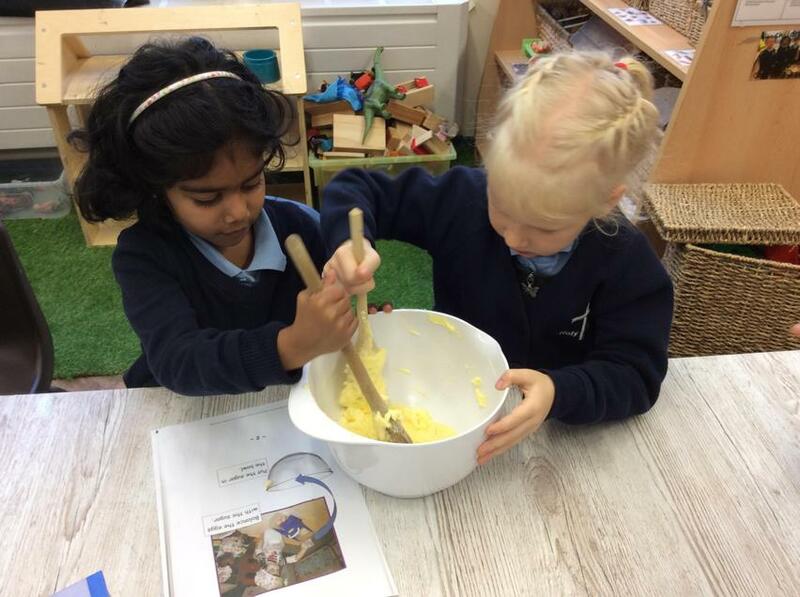 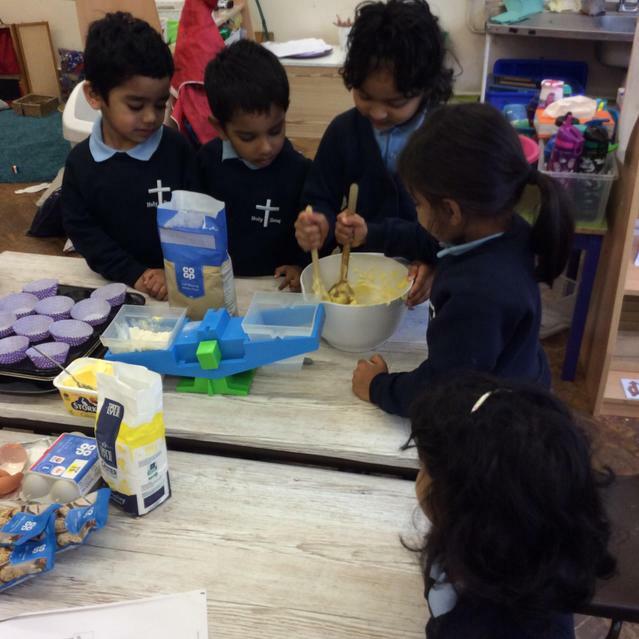 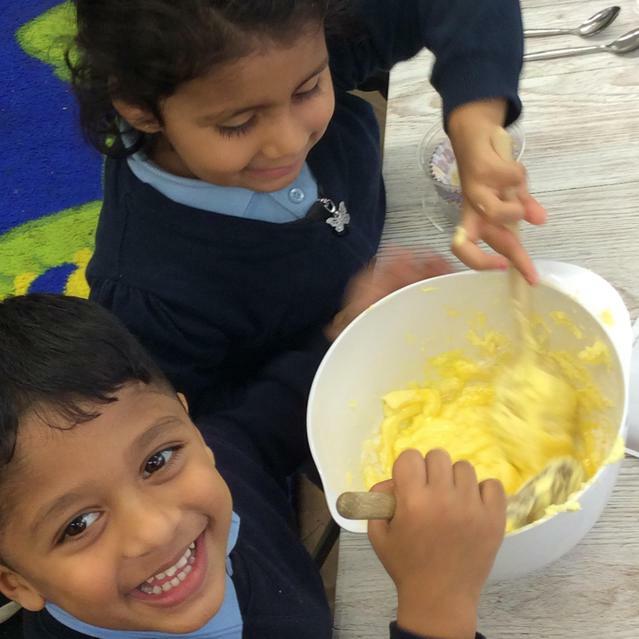 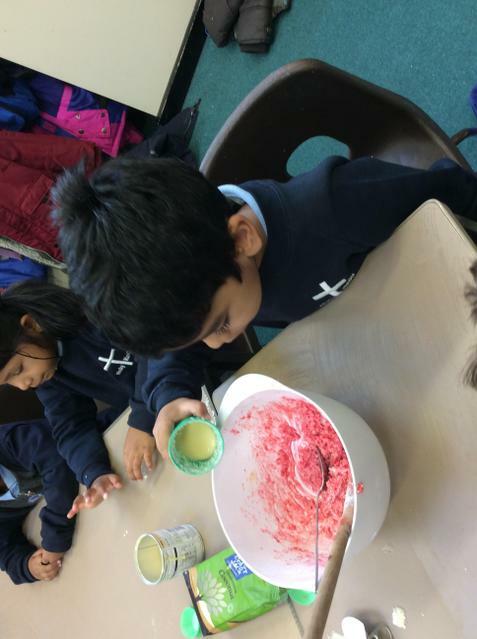 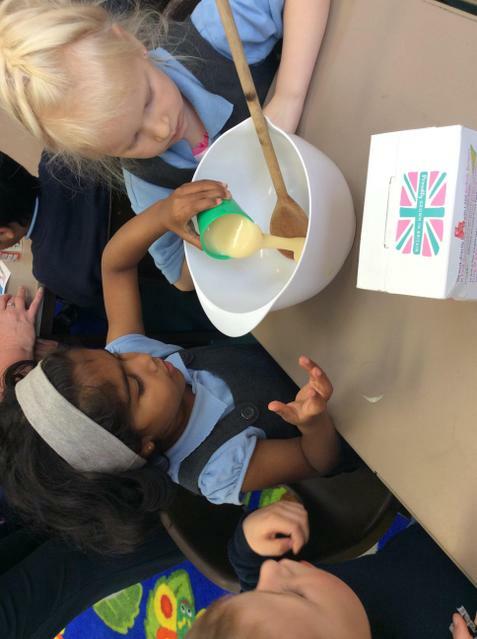 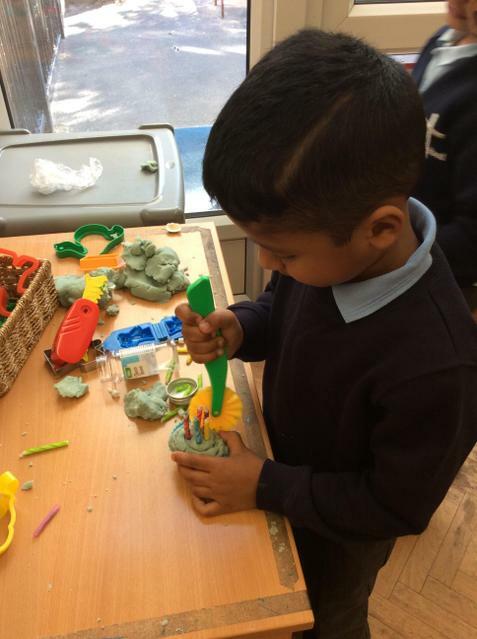 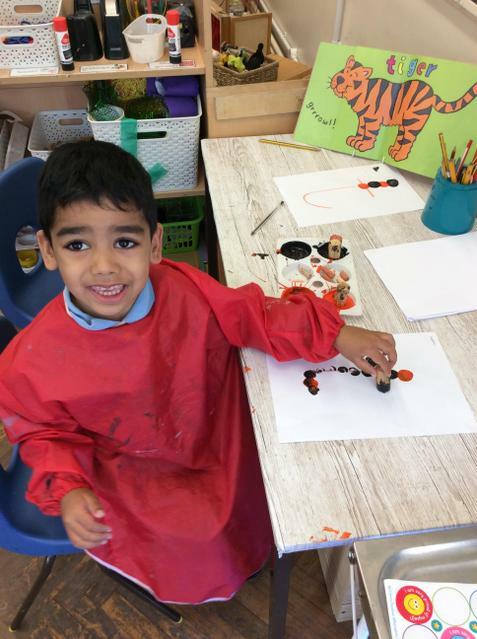 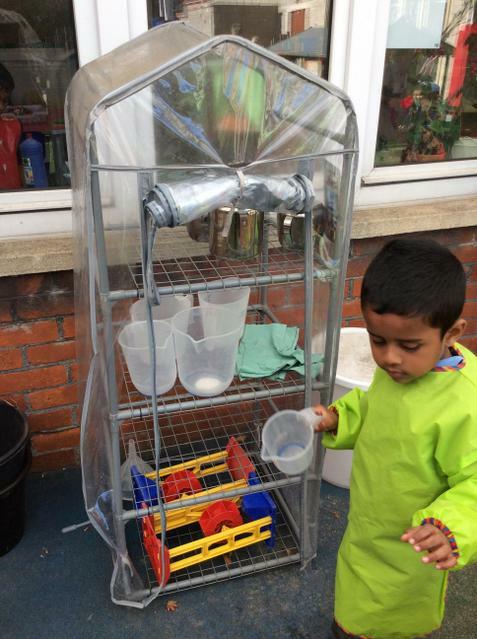 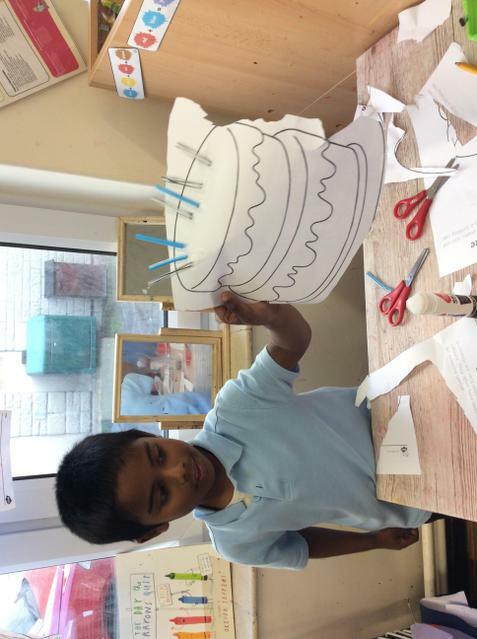 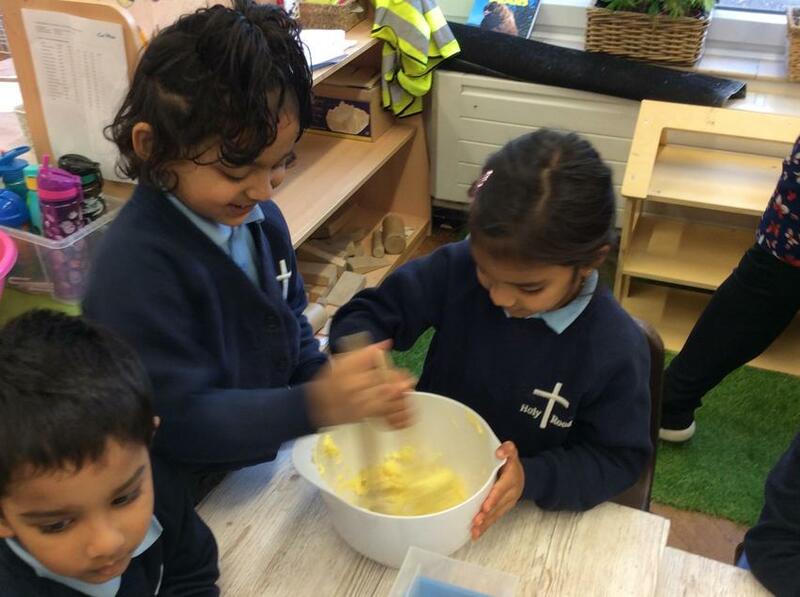 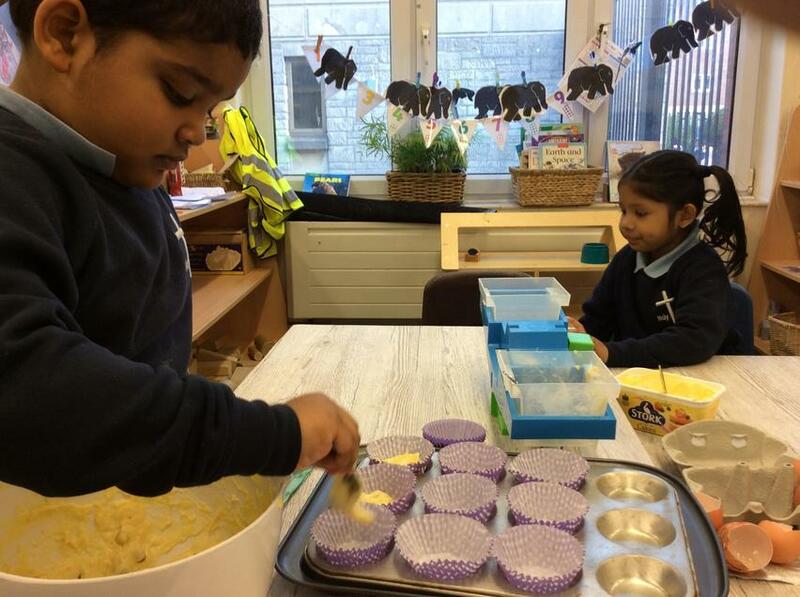 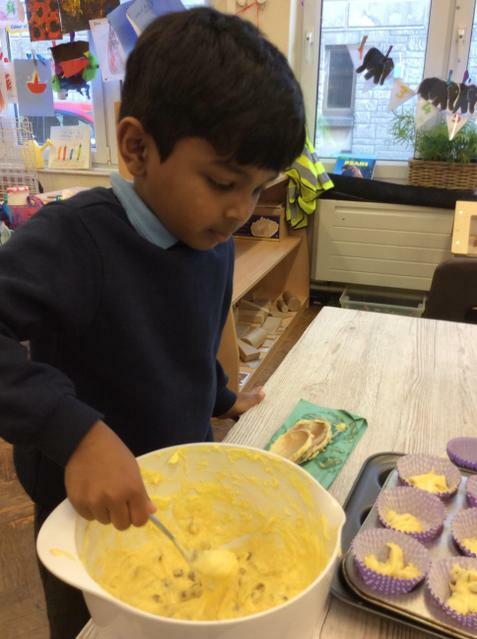 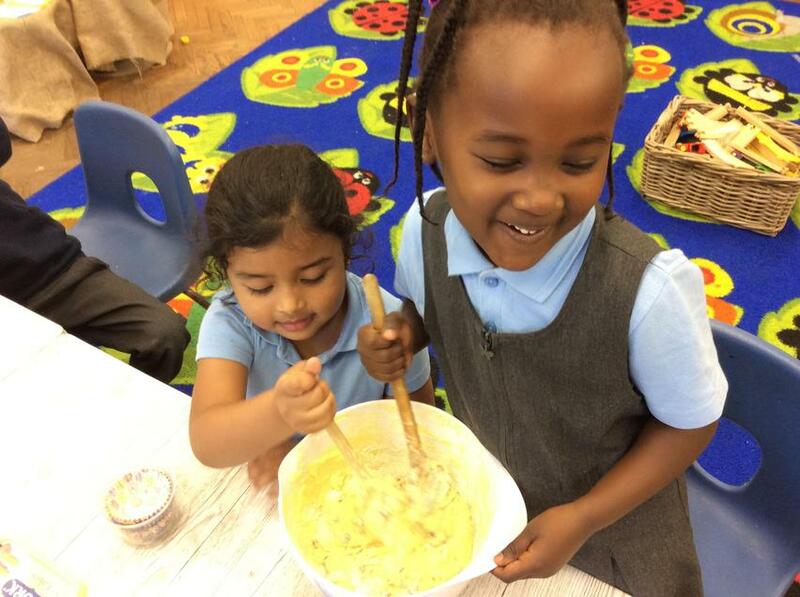 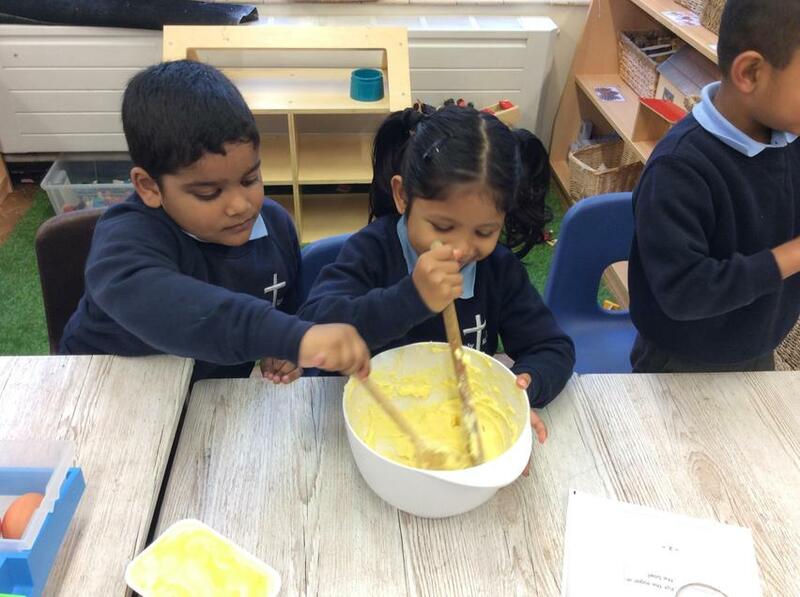 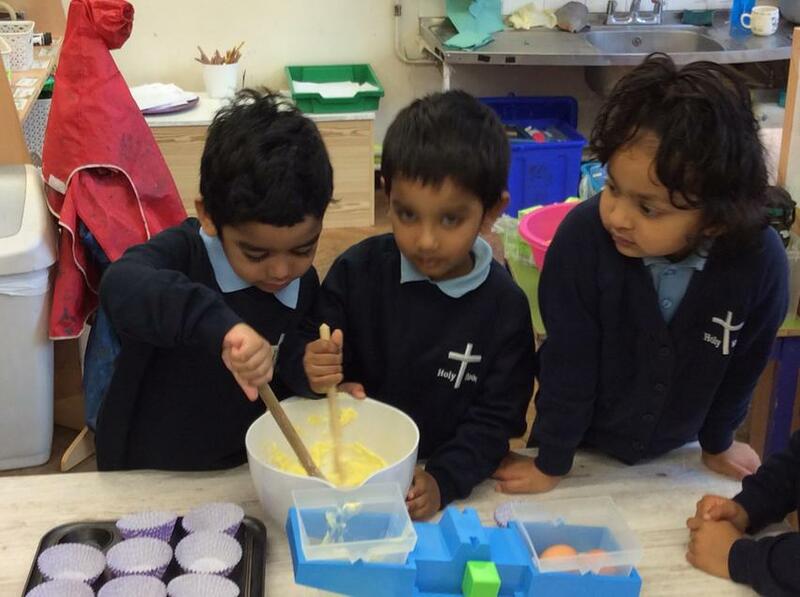 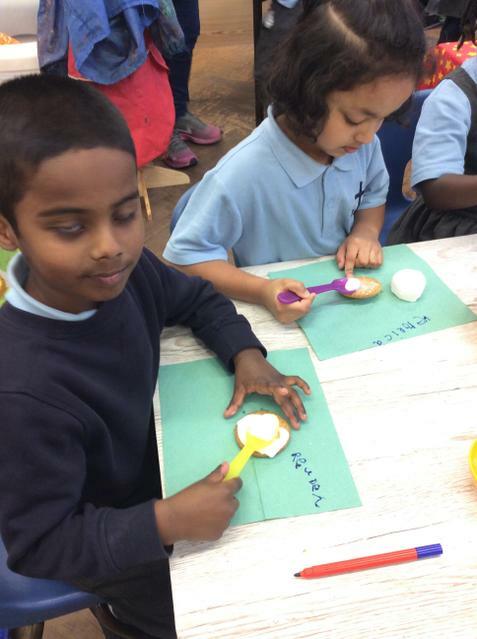 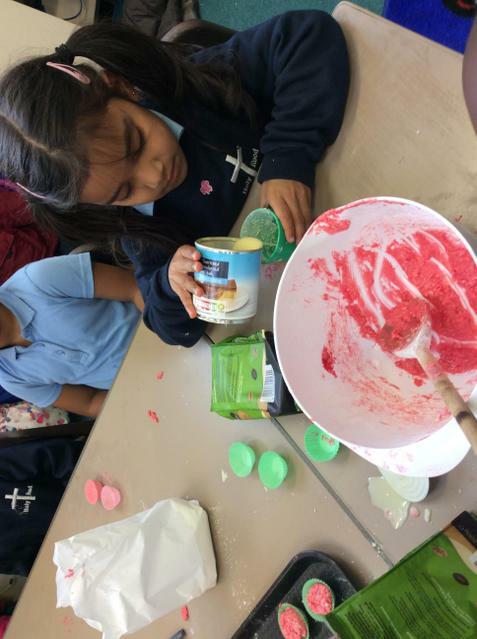 We particularly enjoyed cooking traditional Indian sweets and making playdough Diya lamps. 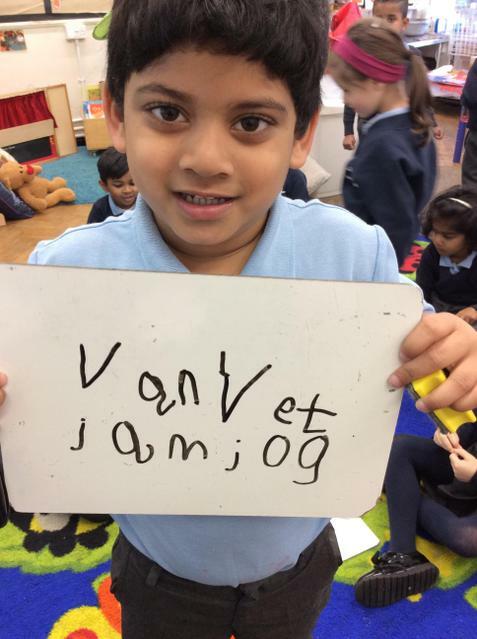 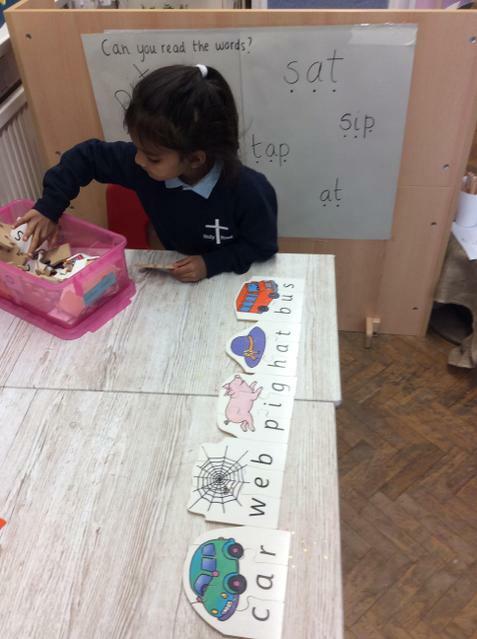 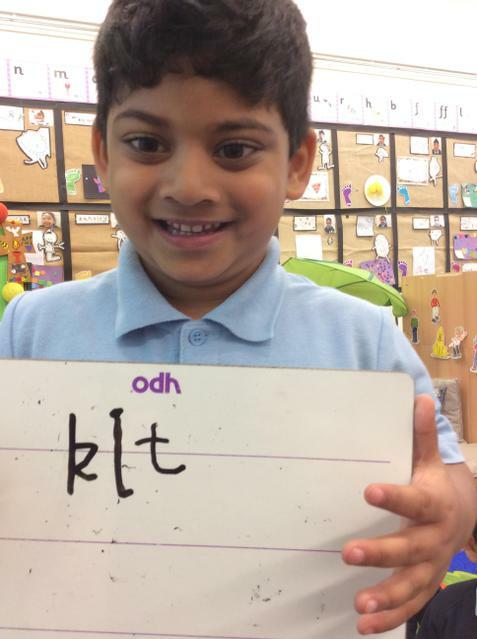 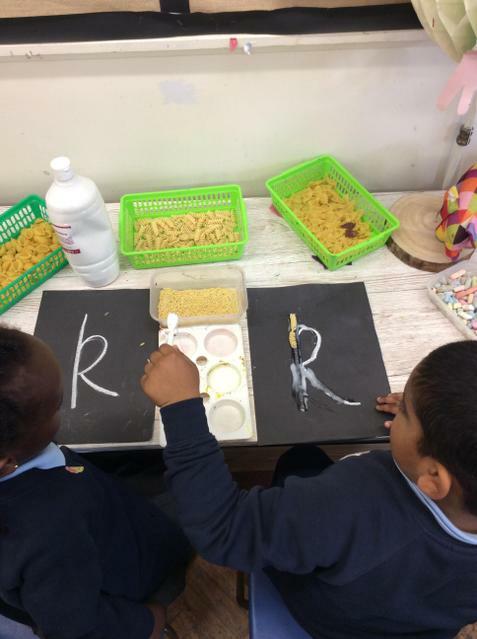 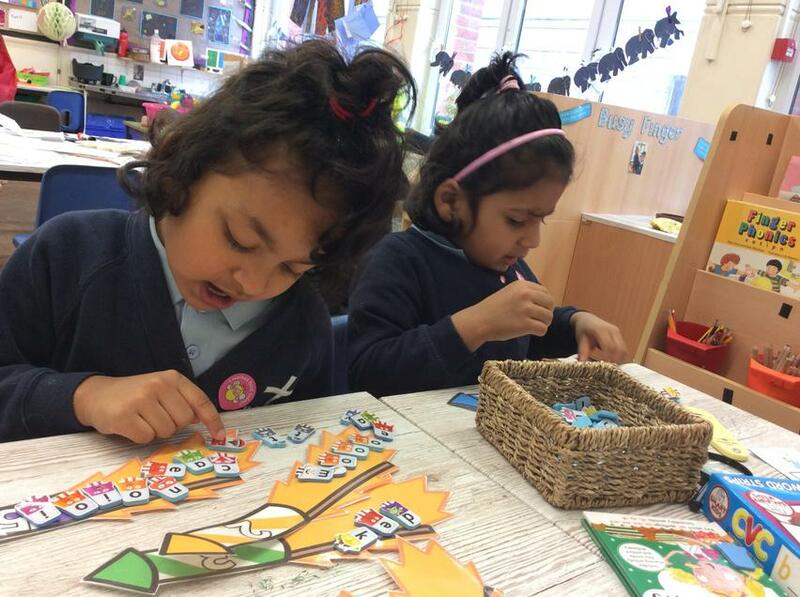 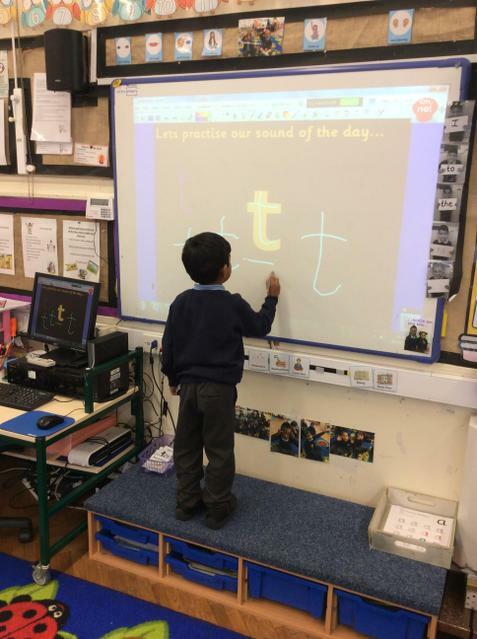 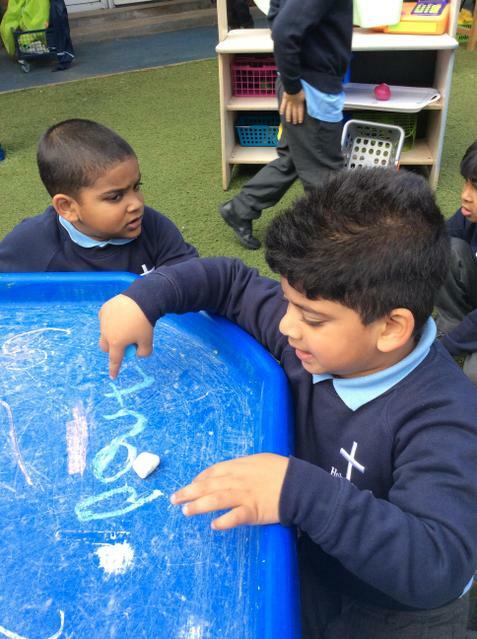 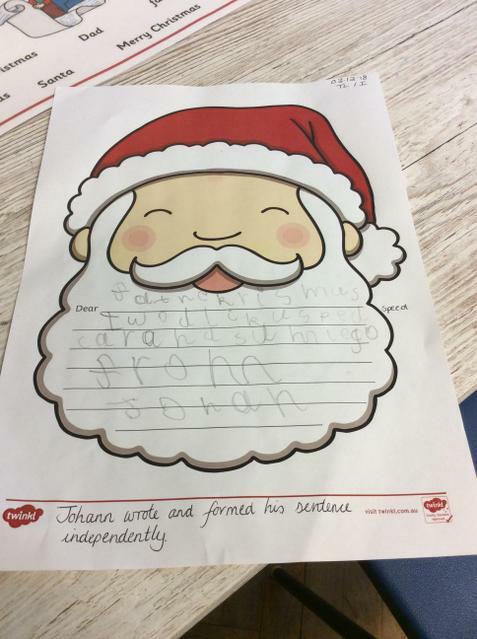 Phonics - We have learnt lots of sounds in phonics. 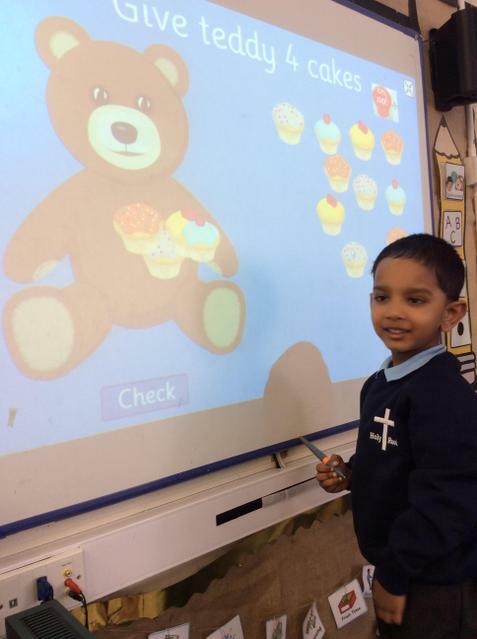 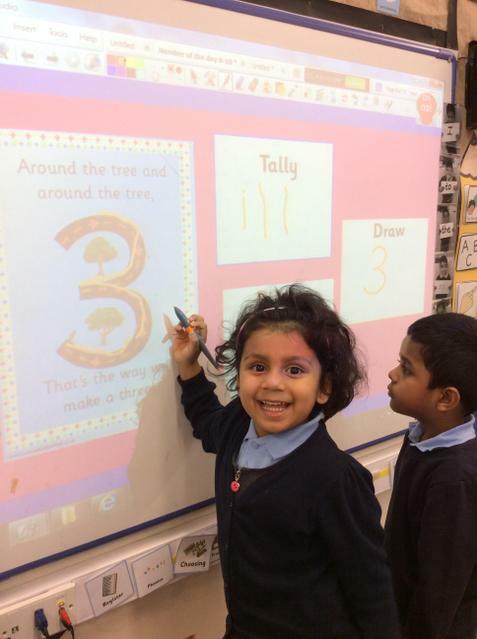 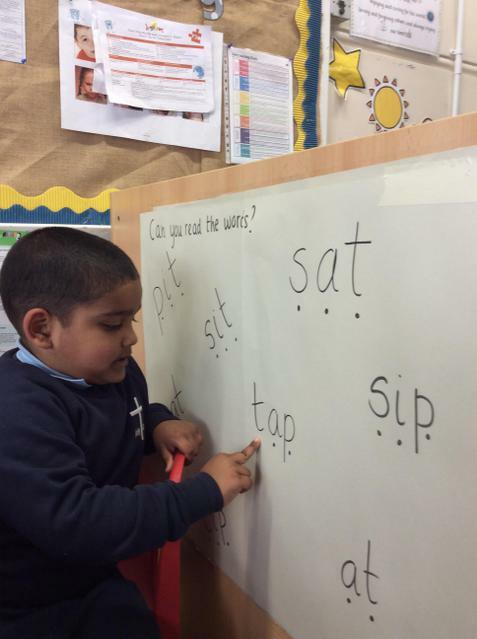 We have practised our sounds in lots of different ways around the classroom! 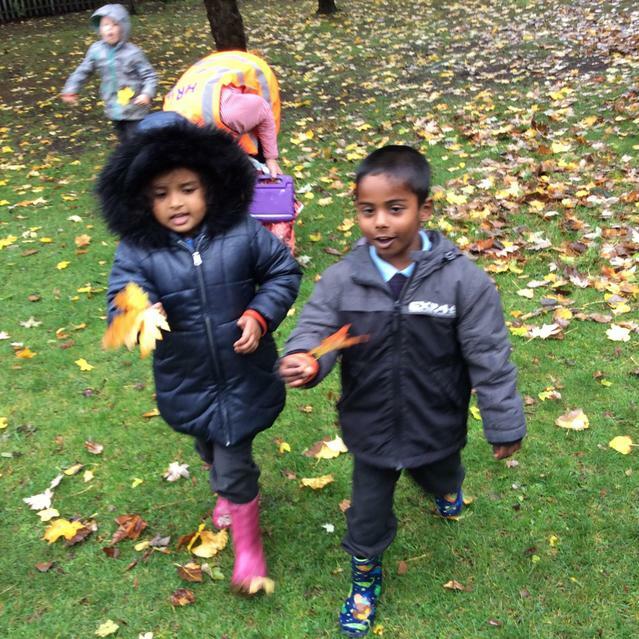 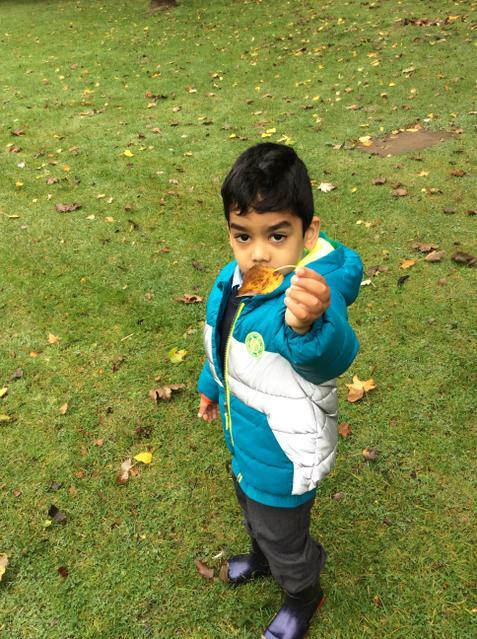 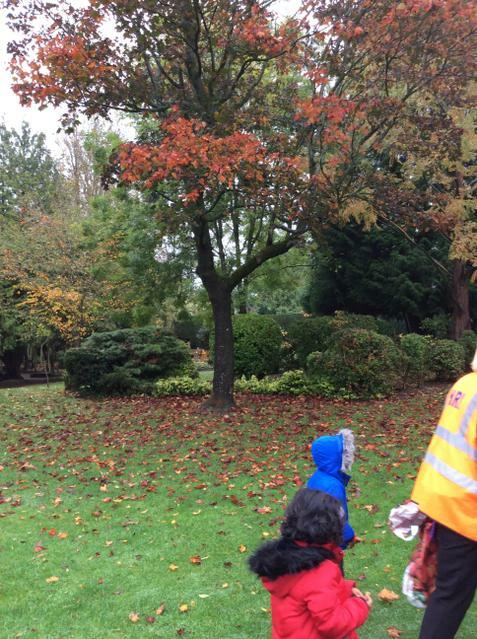 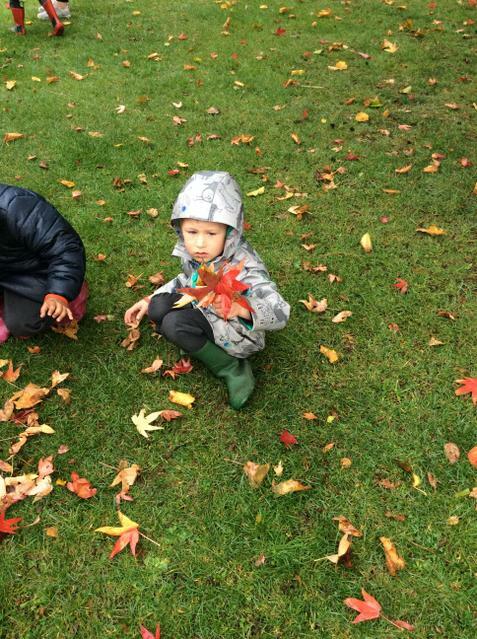 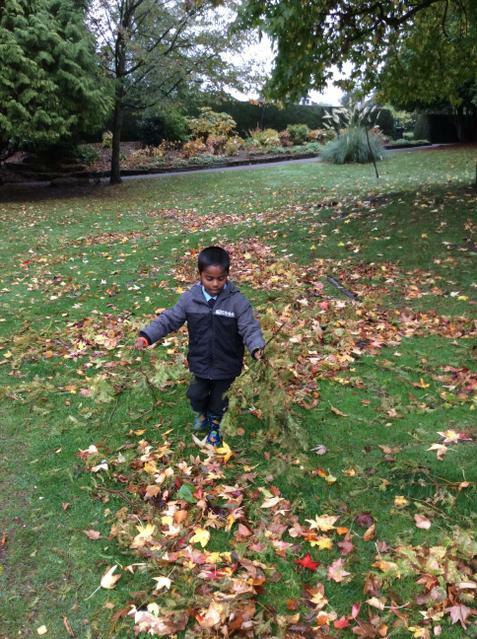 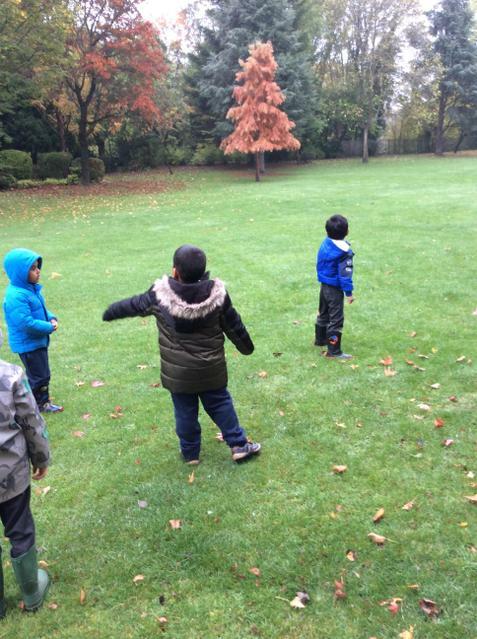 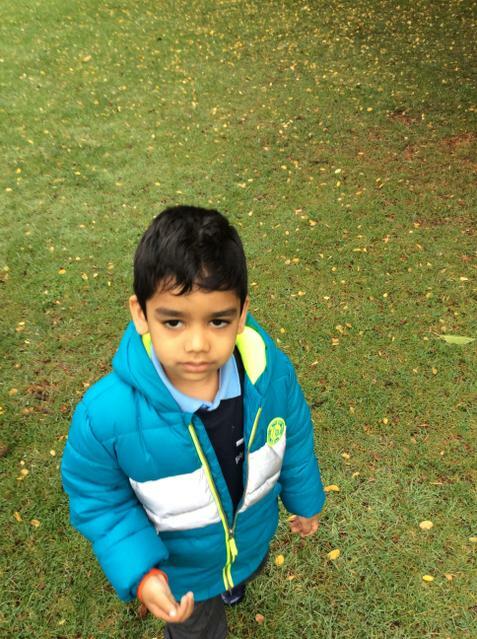 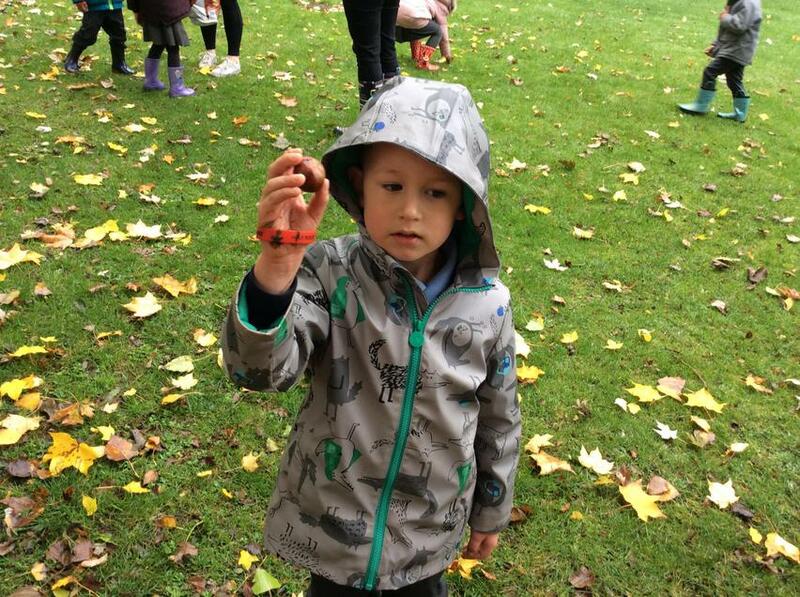 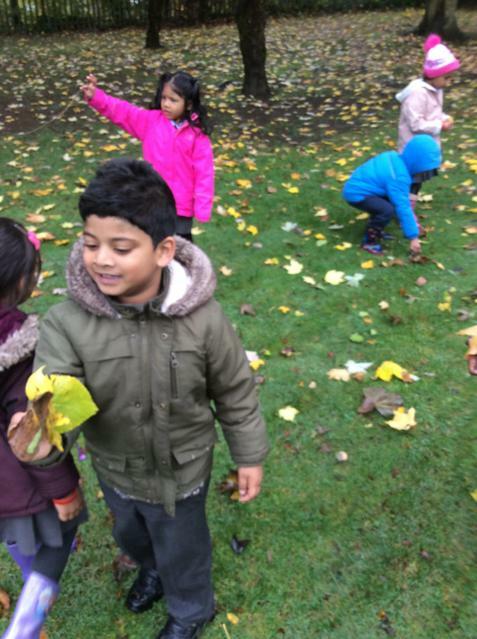 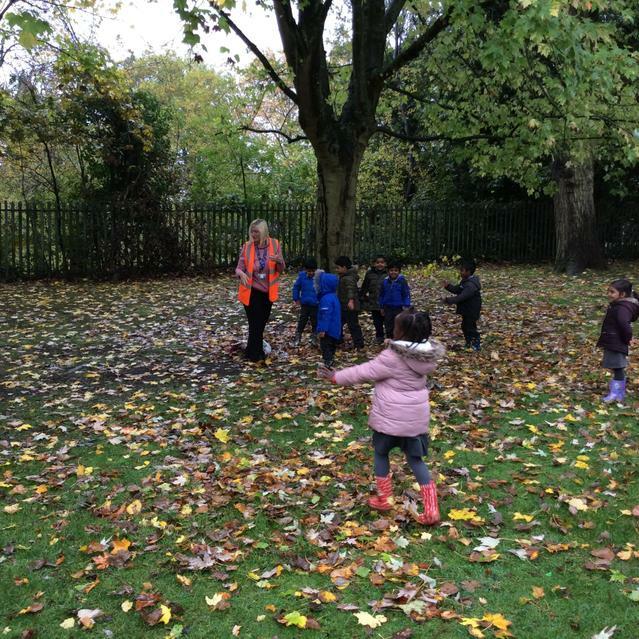 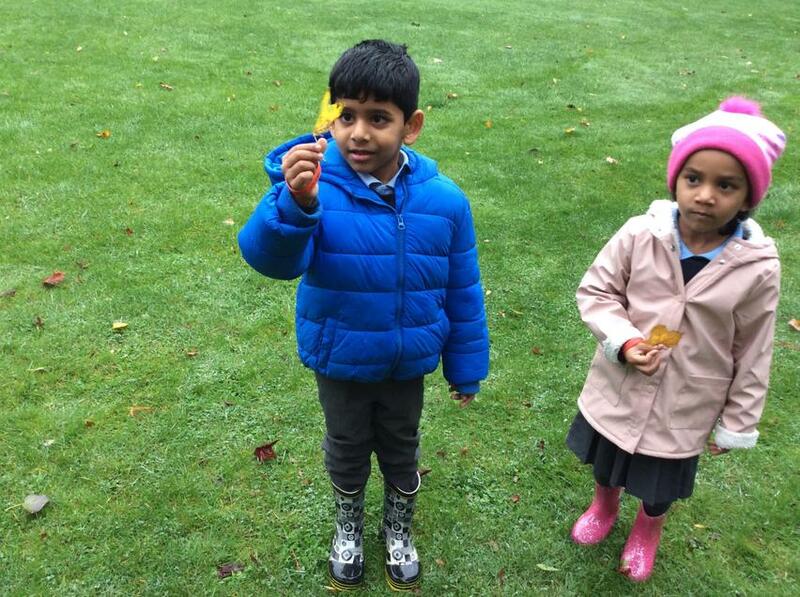 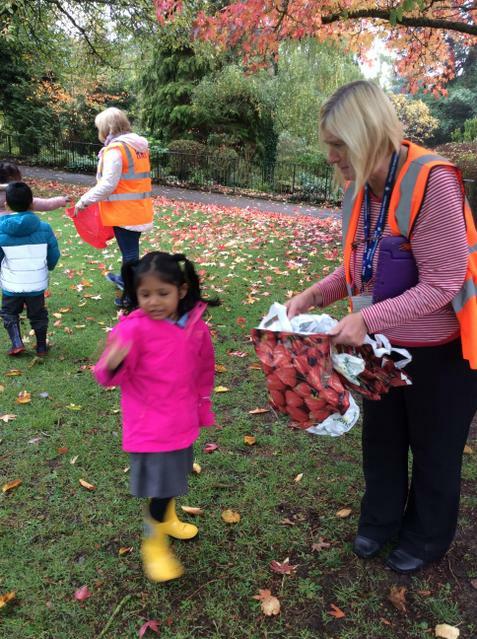 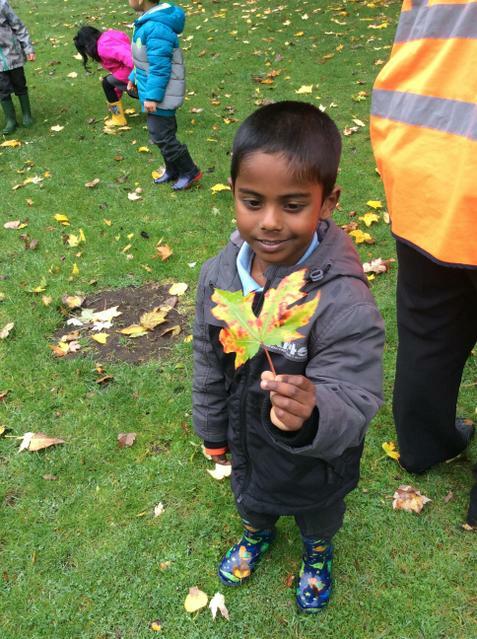 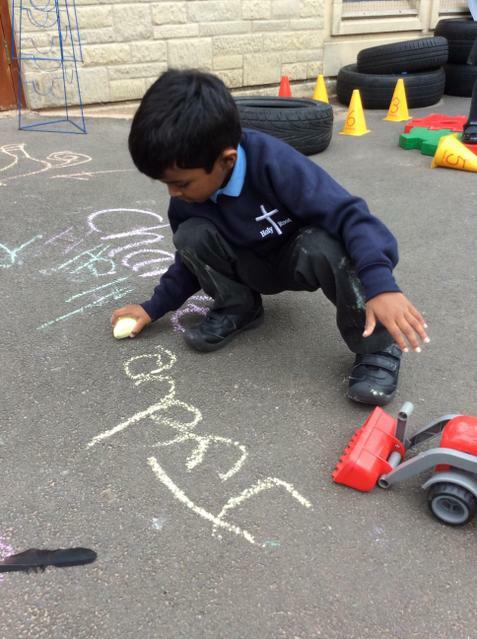 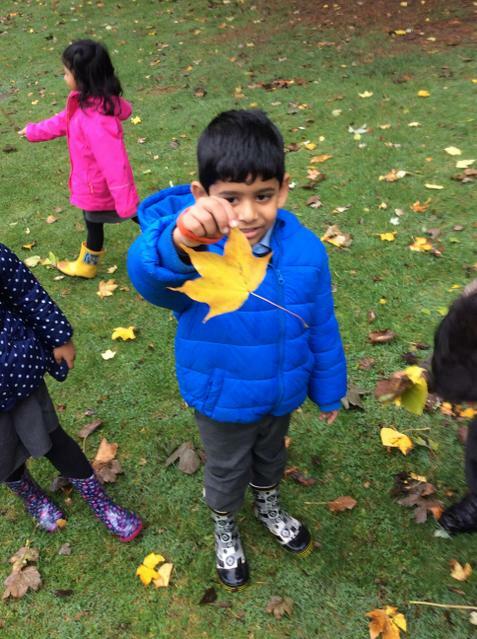 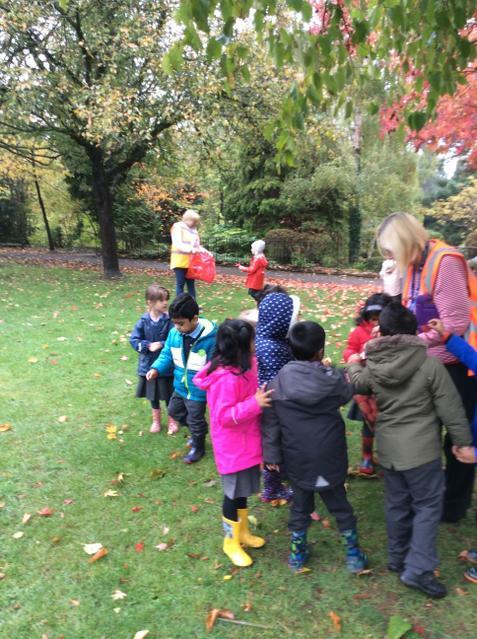 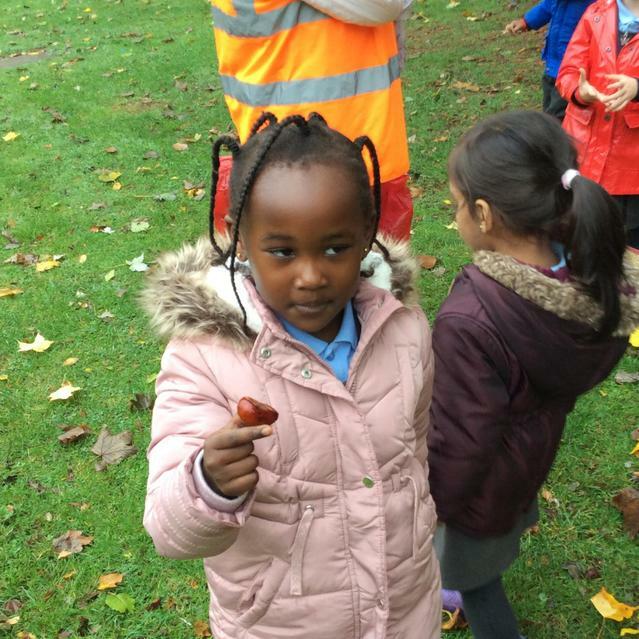 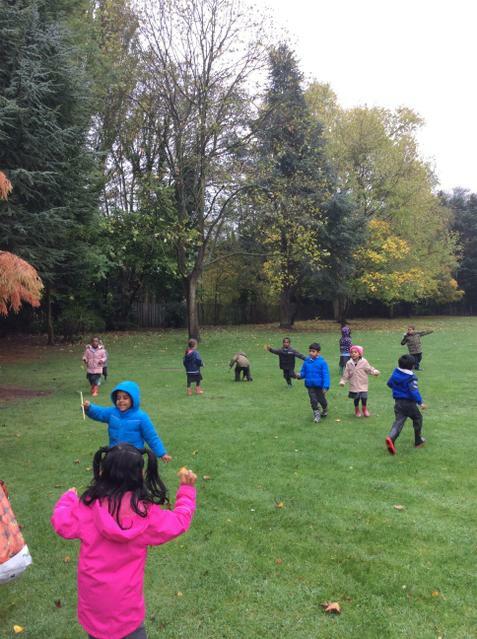 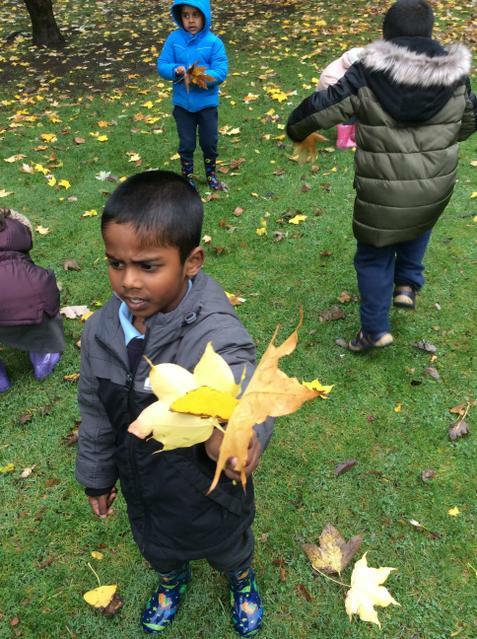 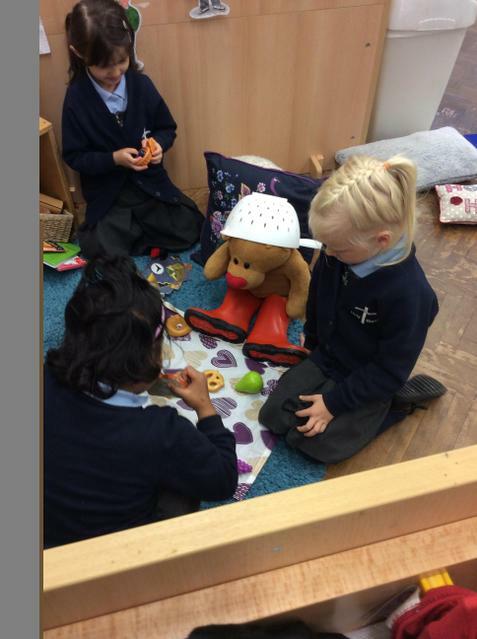 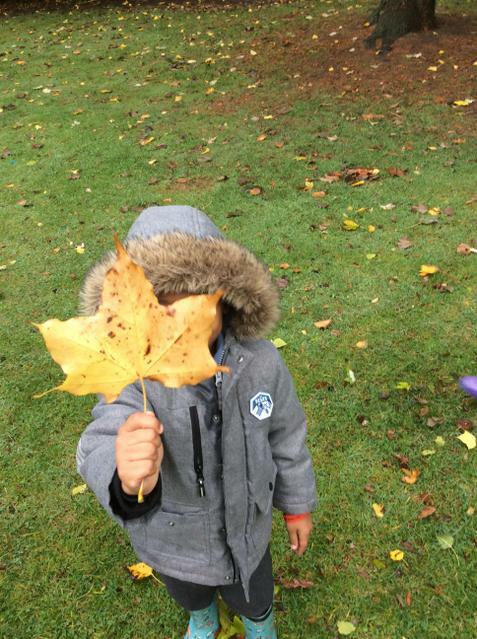 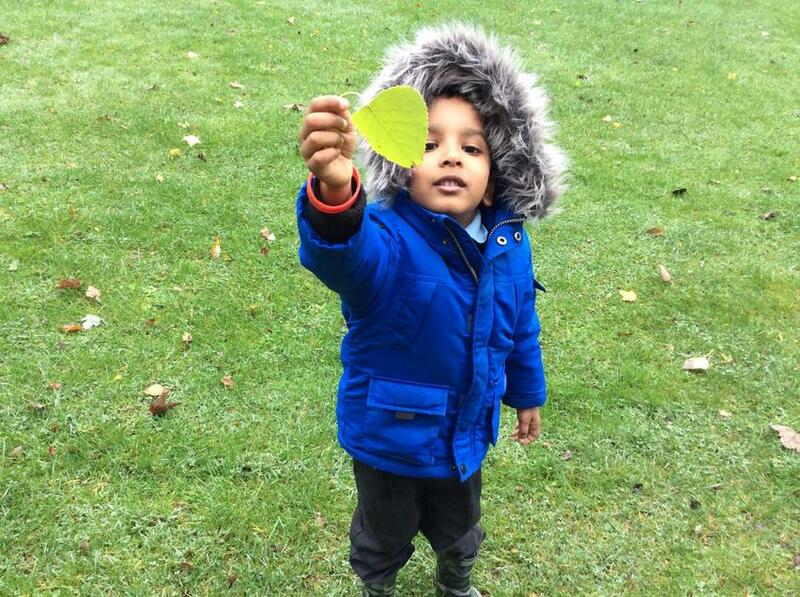 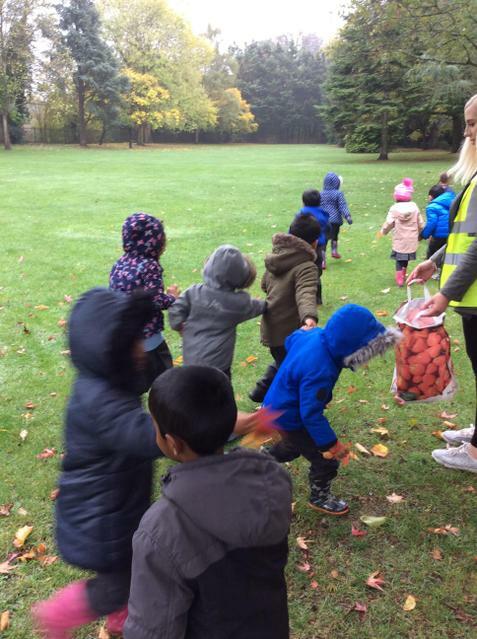 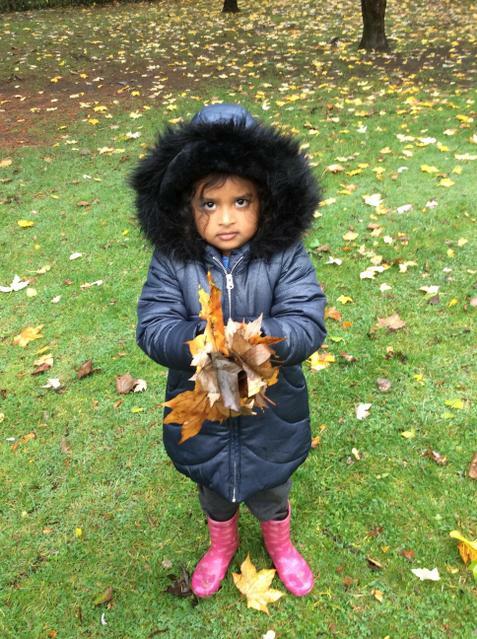 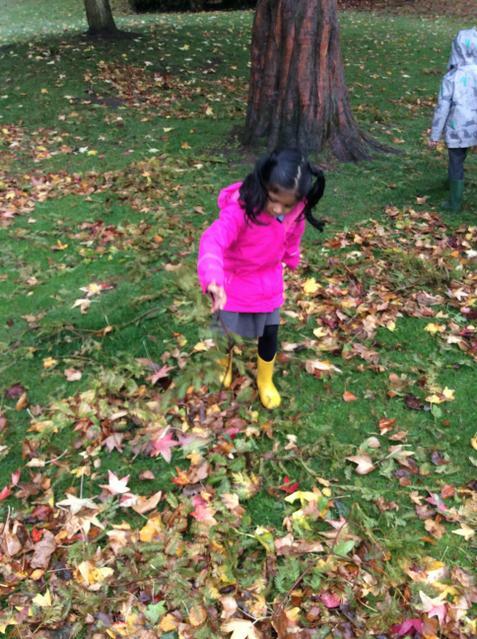 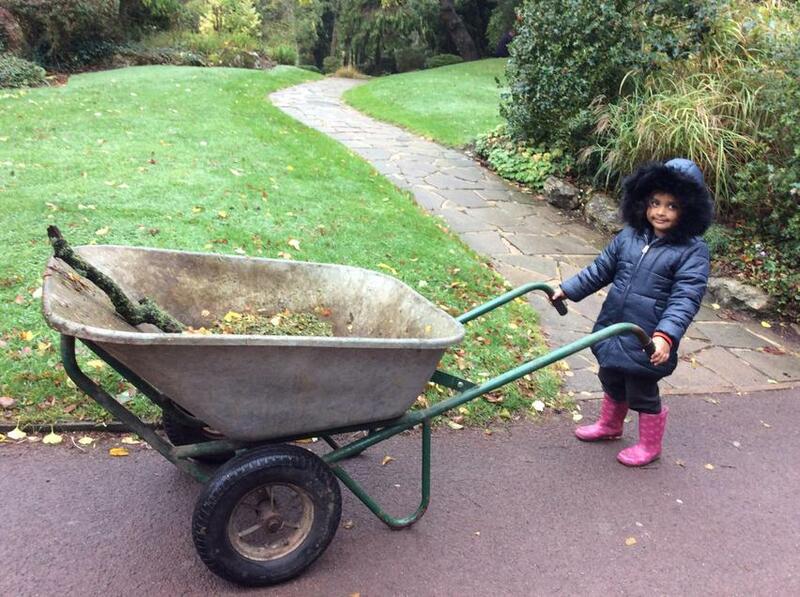 Autumn - In term 1 we learnt all about Harvest and Autumn. 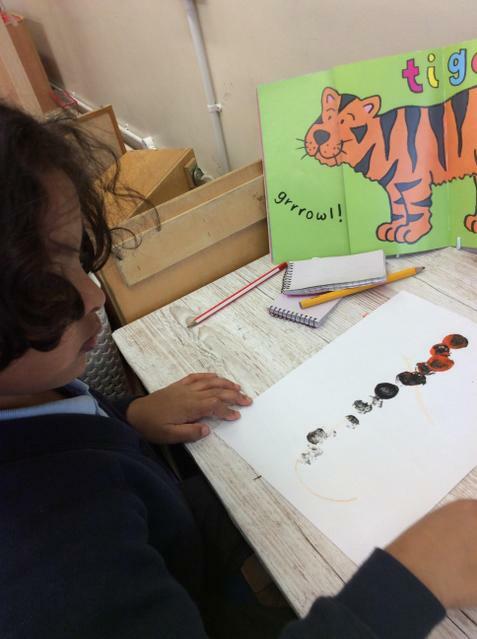 We looked at lots of different vegetables and even had a go at printing with them. 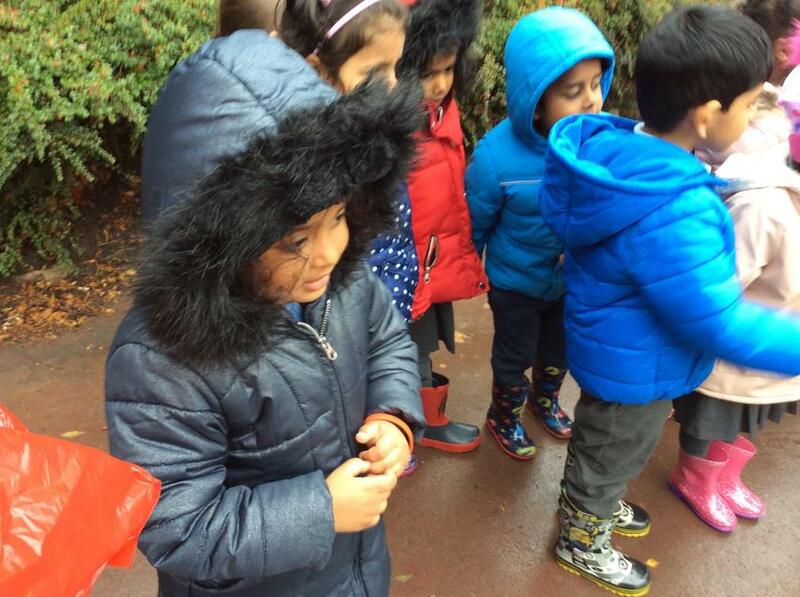 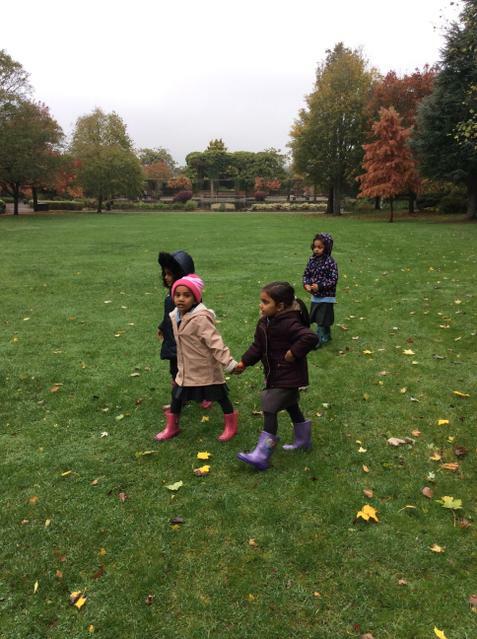 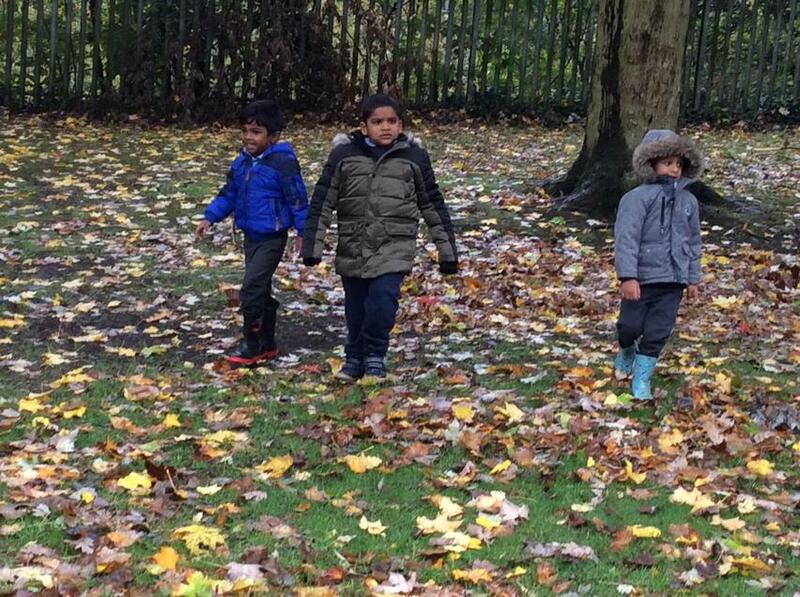 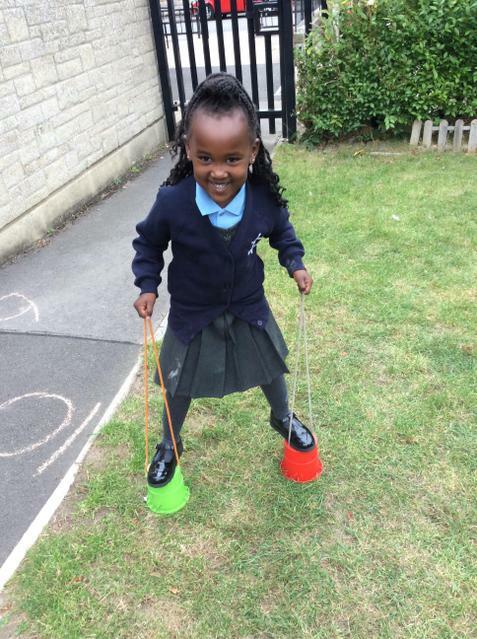 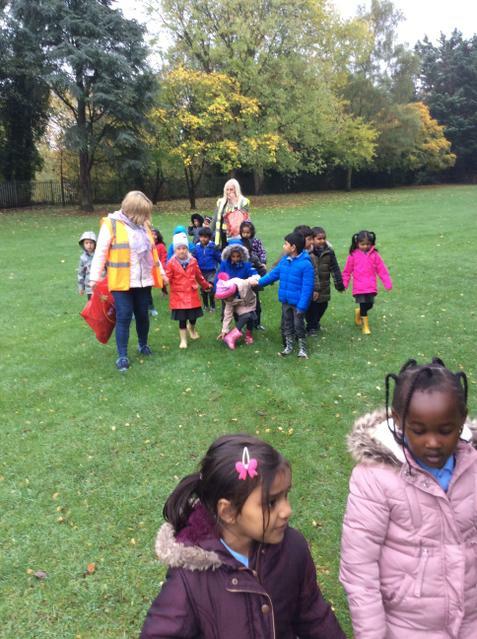 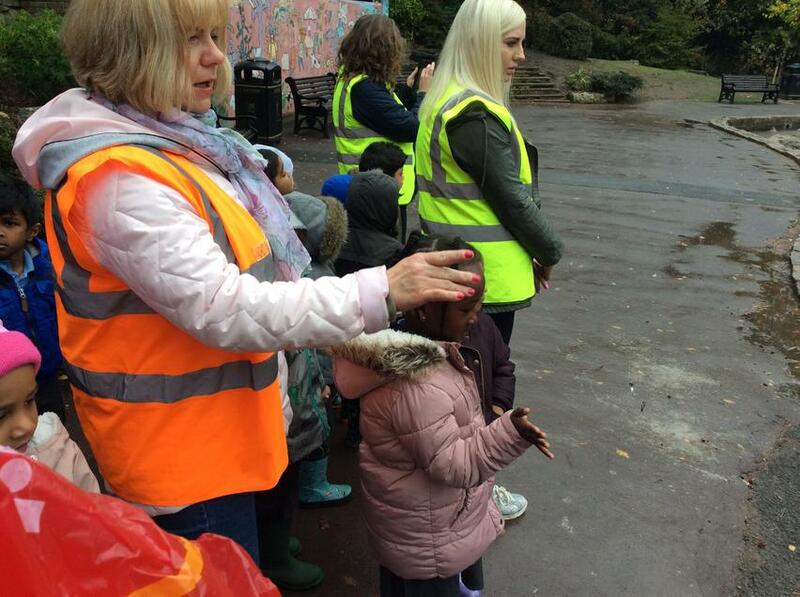 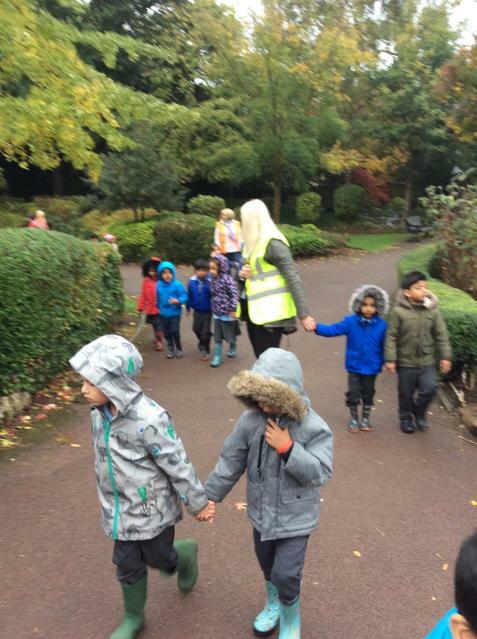 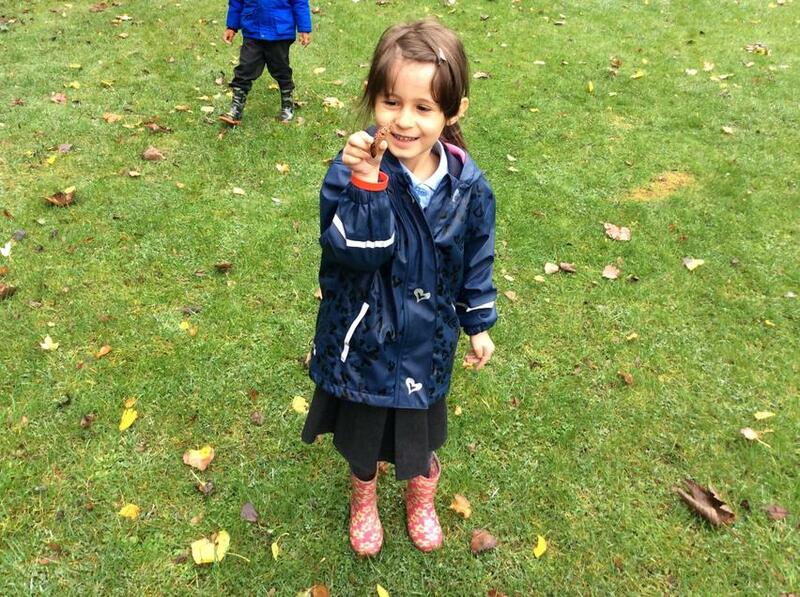 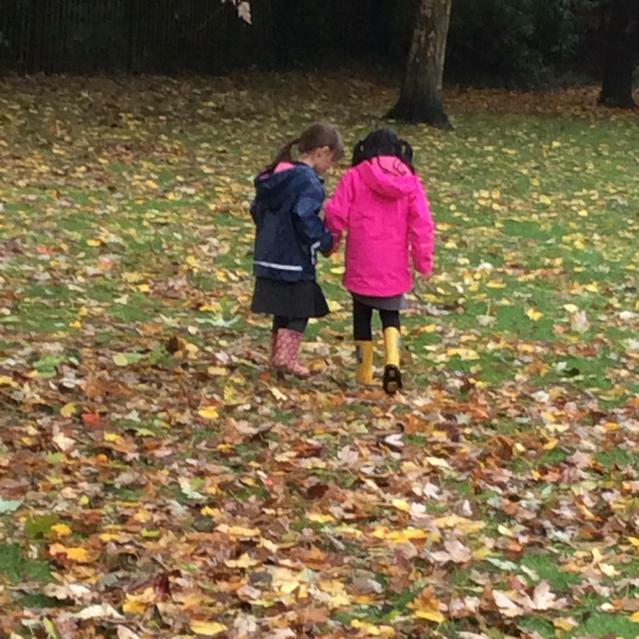 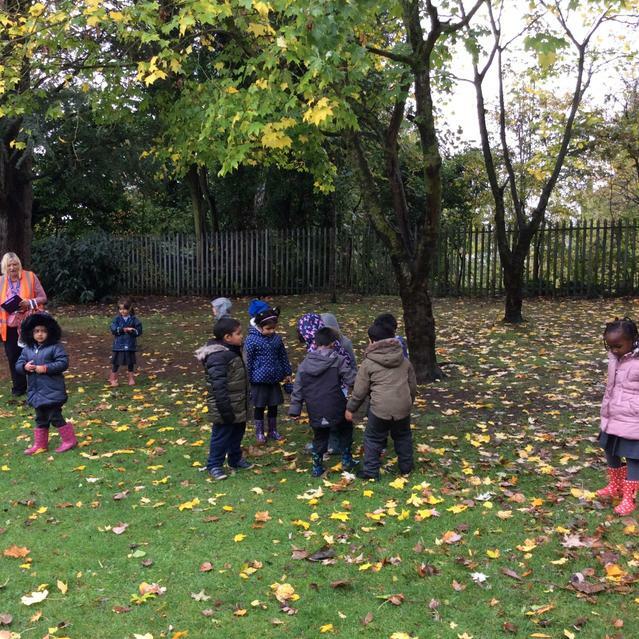 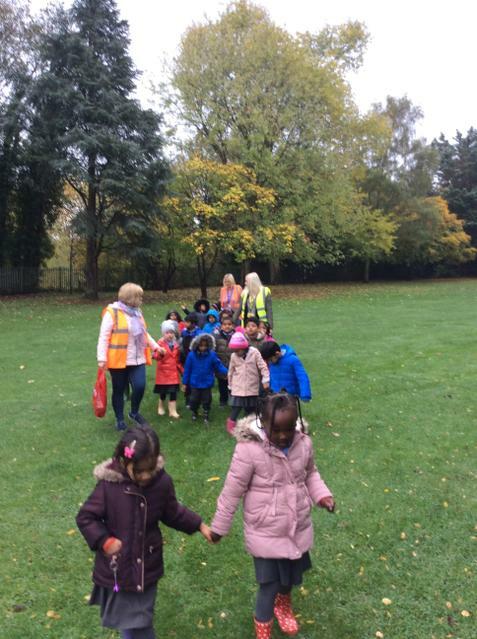 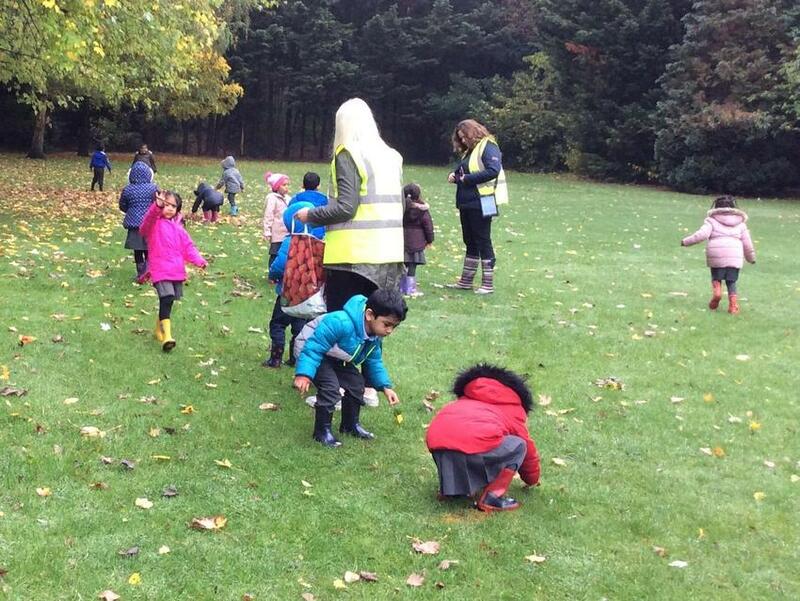 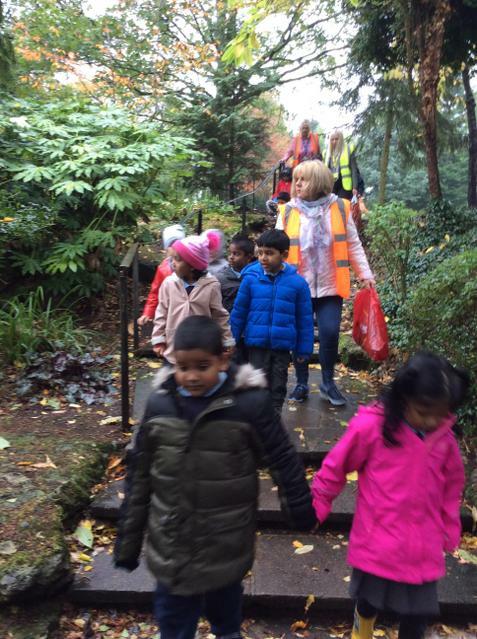 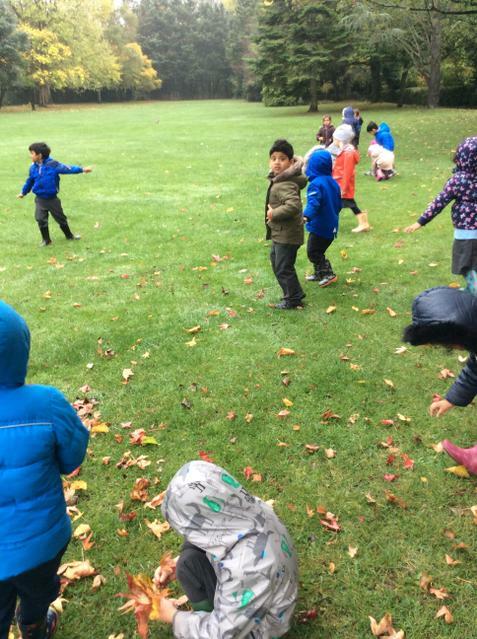 We enjoyed reading lots of stories and went on a welly walk. 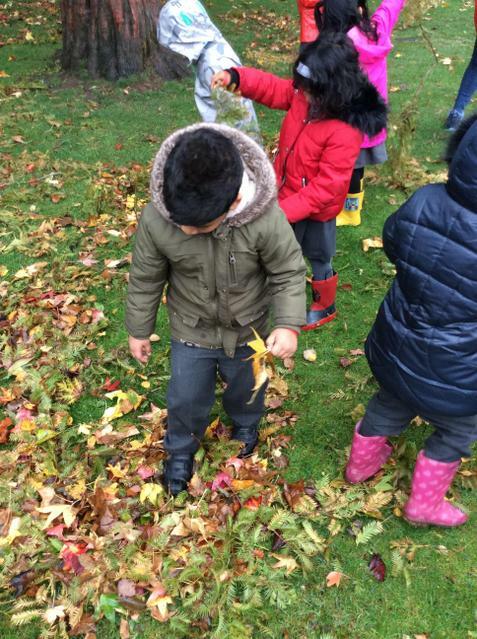 We discussed the changes we might see happening outside and collecting natural resources to make seasonal pictures. 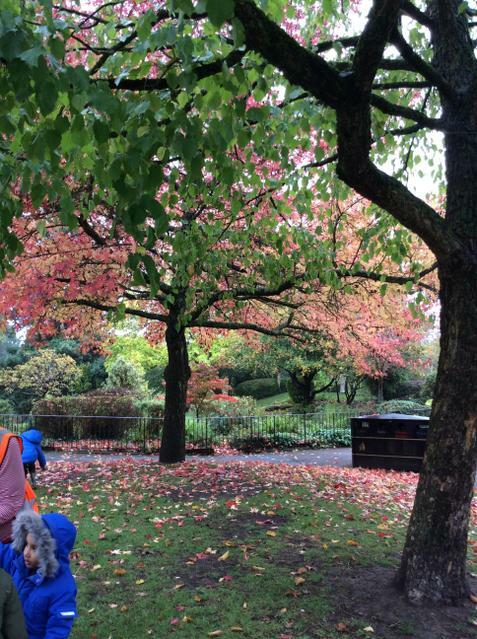 Settling In. 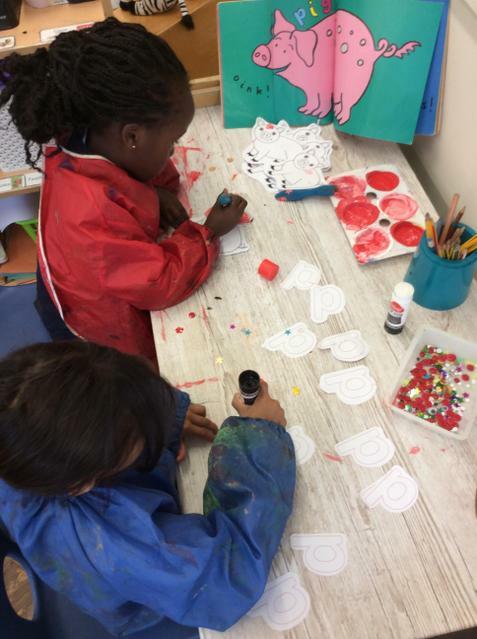 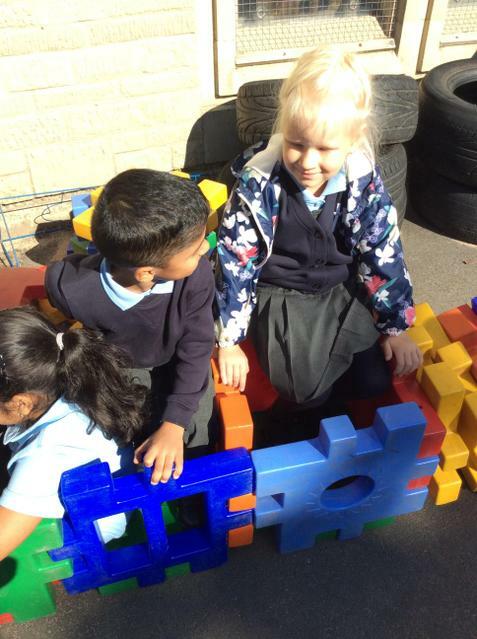 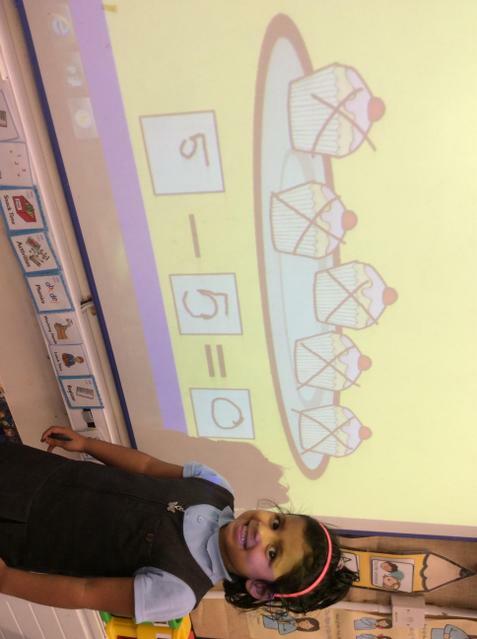 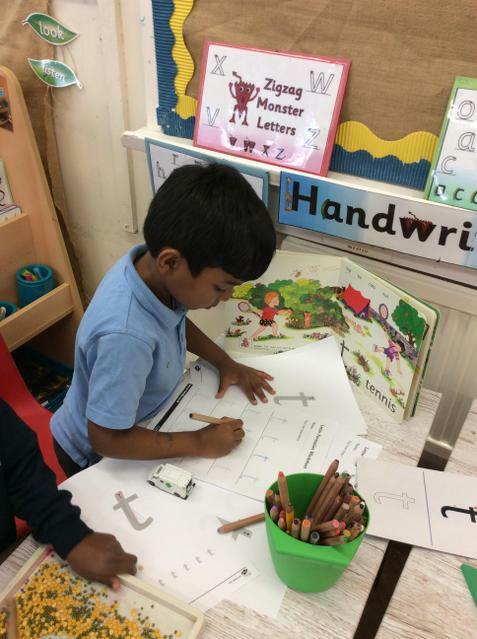 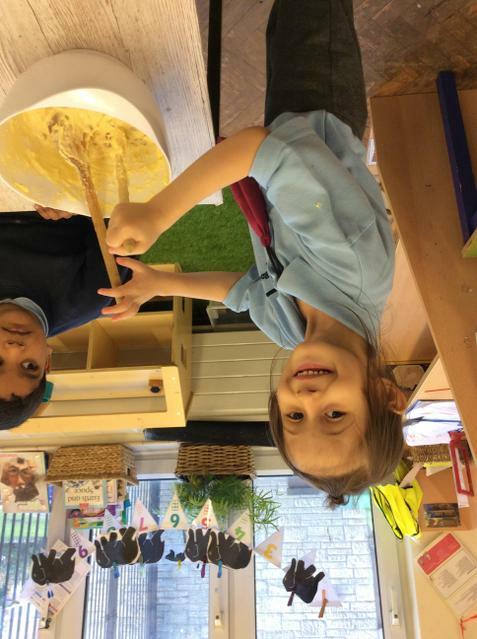 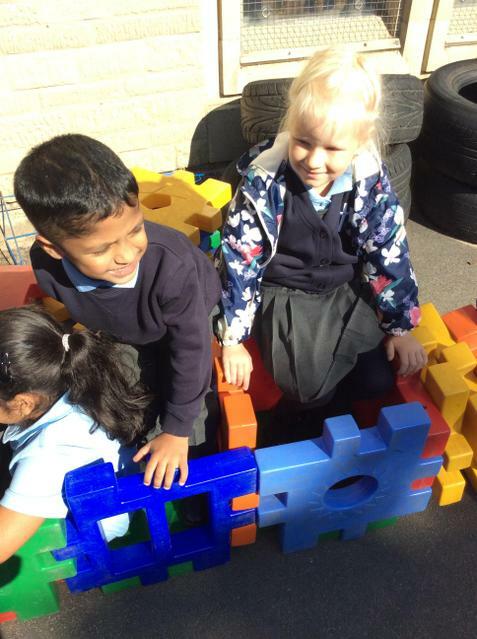 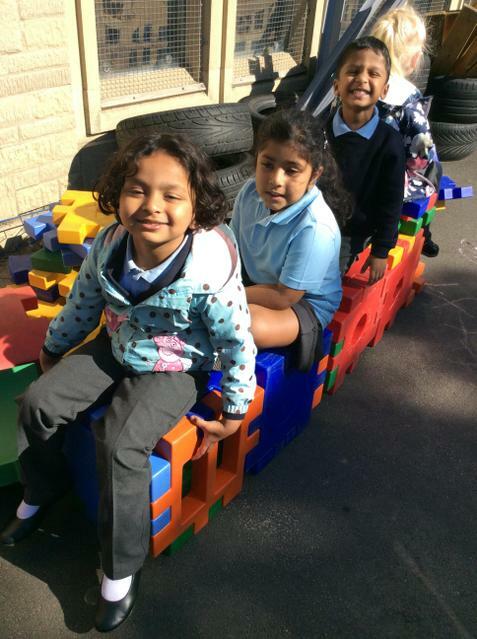 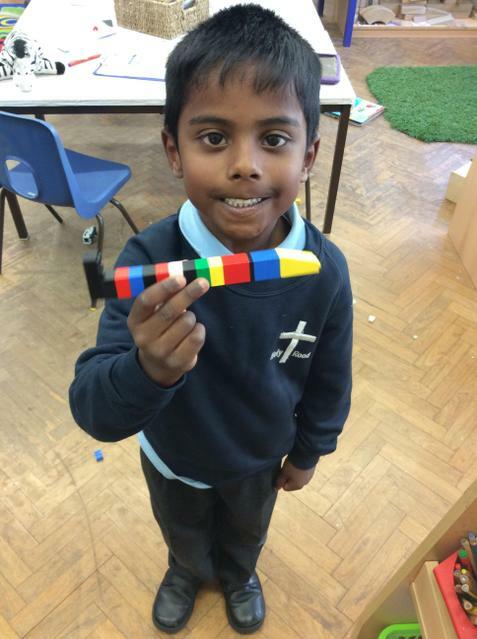 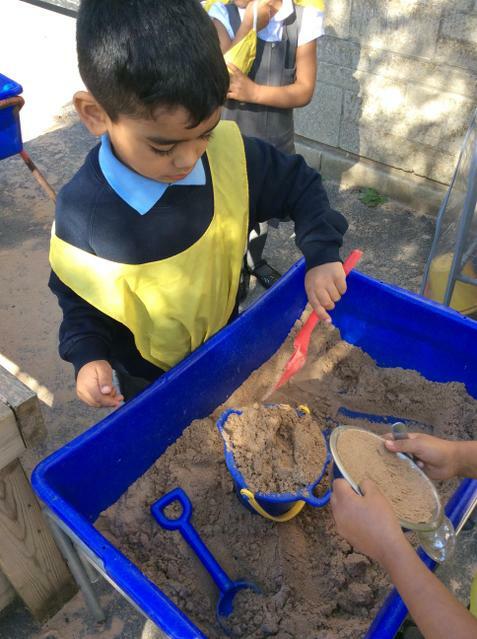 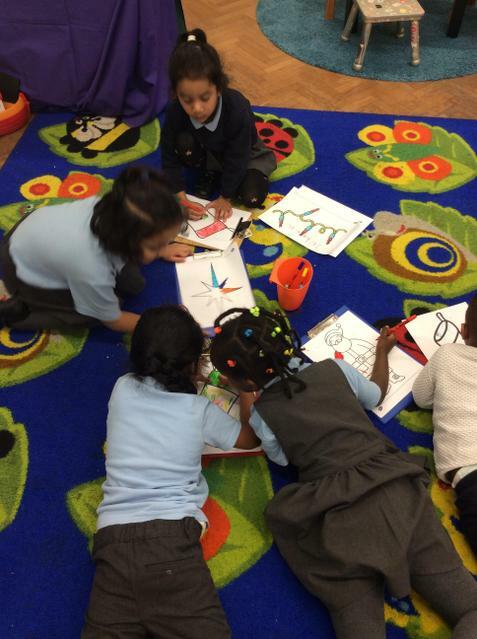 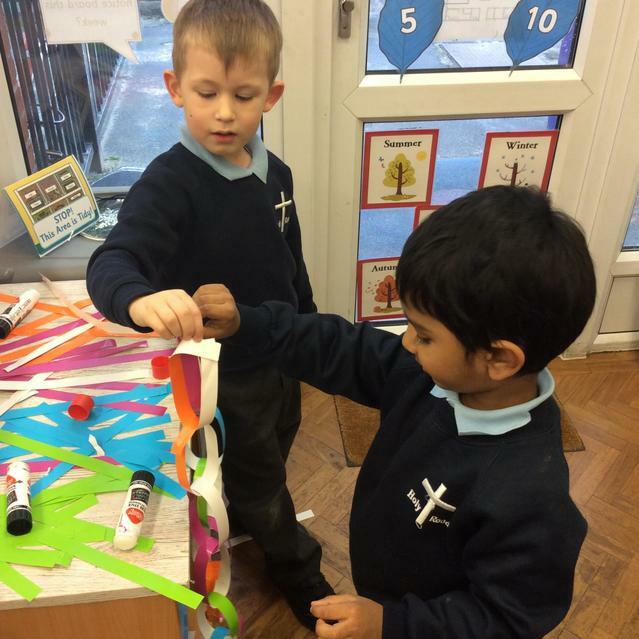 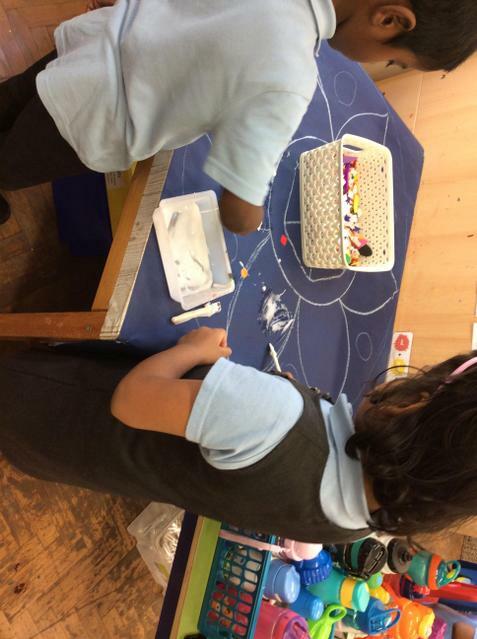 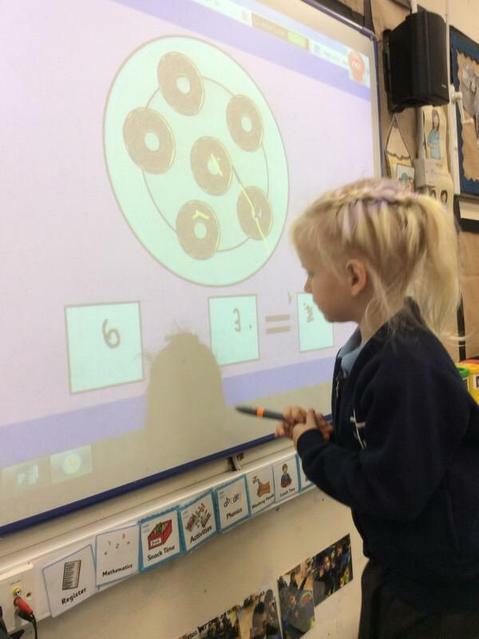 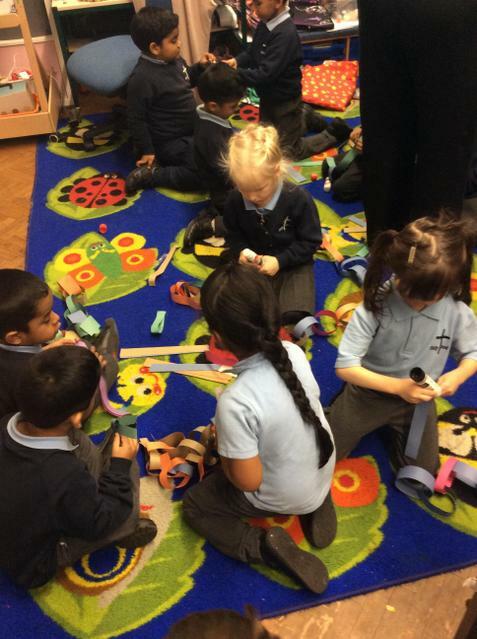 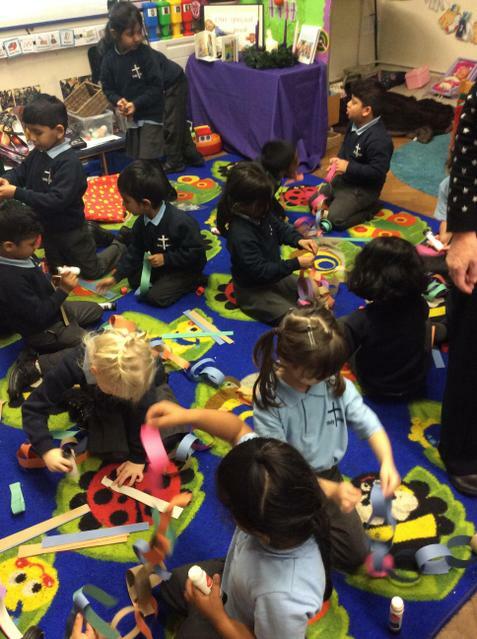 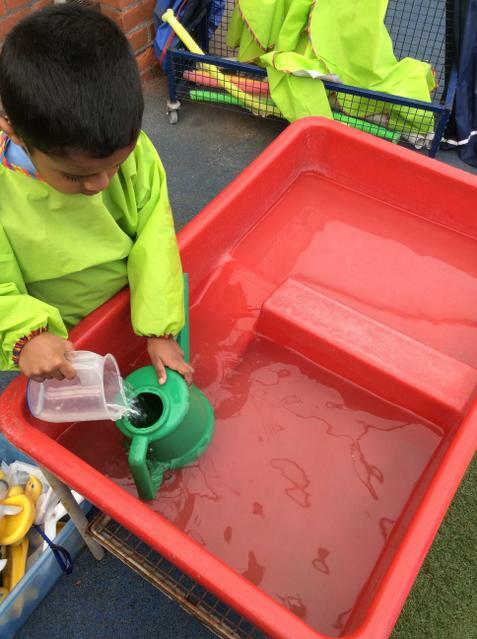 We have been exploring our classroom, making new friends and having lots of fun! 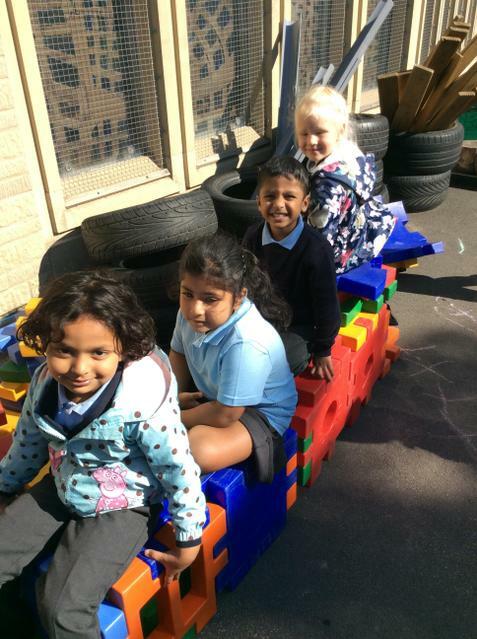 We are all now coming into school independently and have made a great start to the school year.